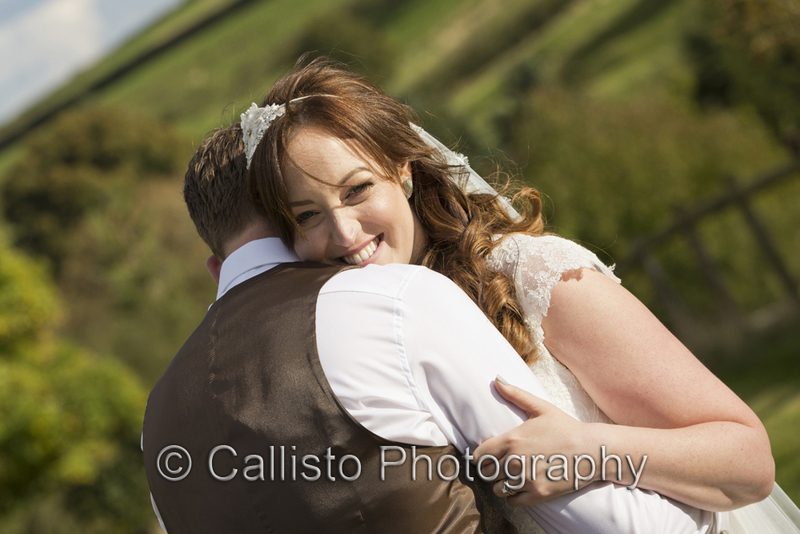 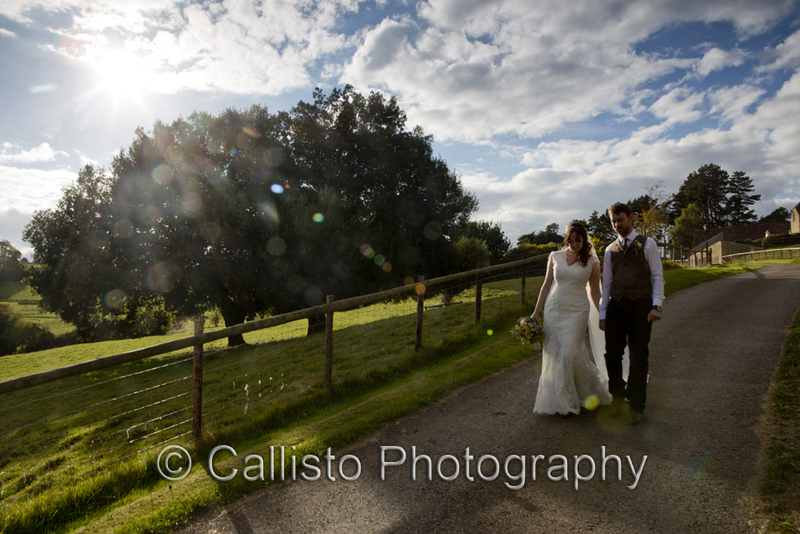 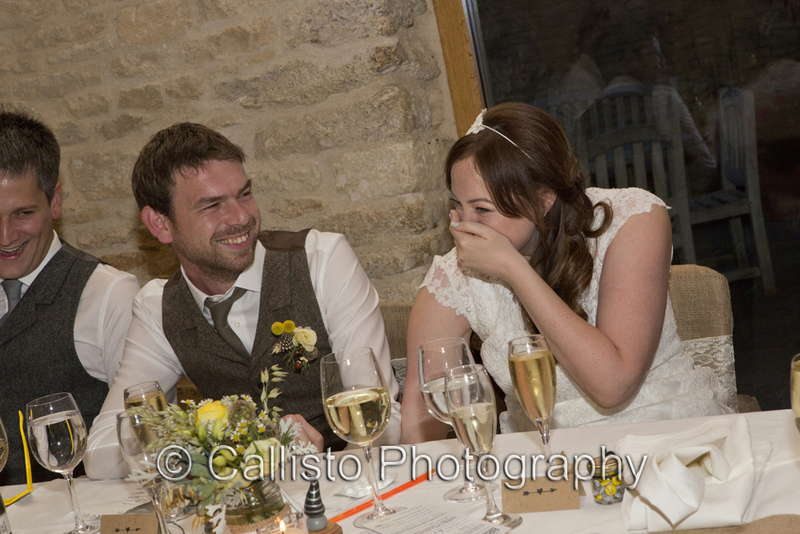 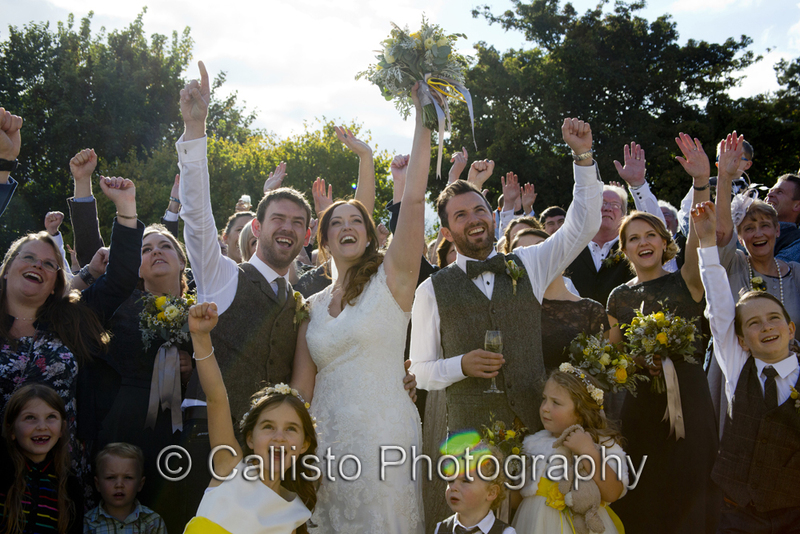 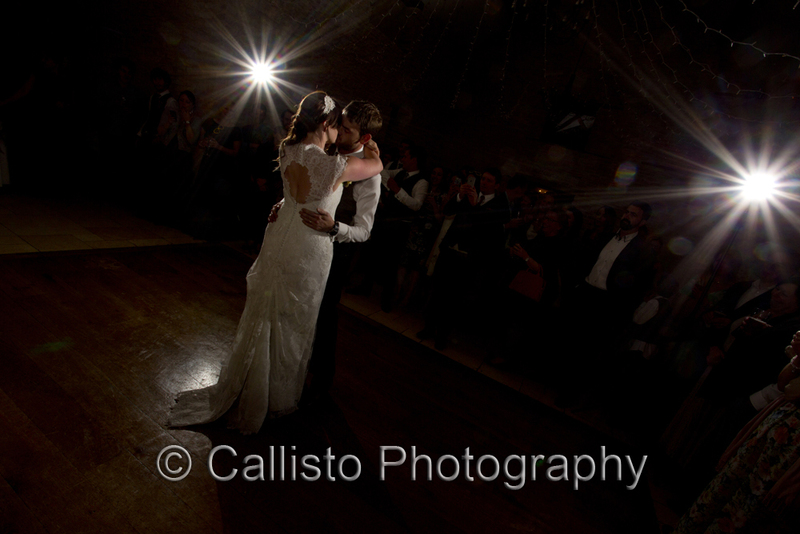 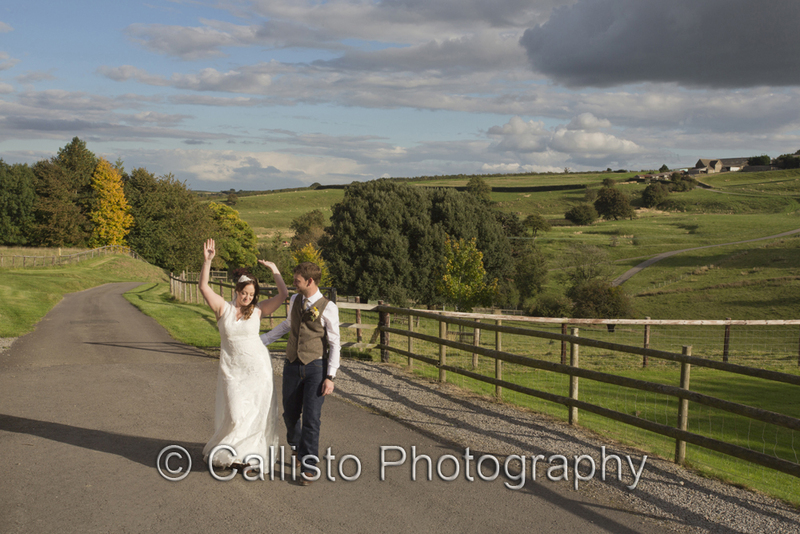 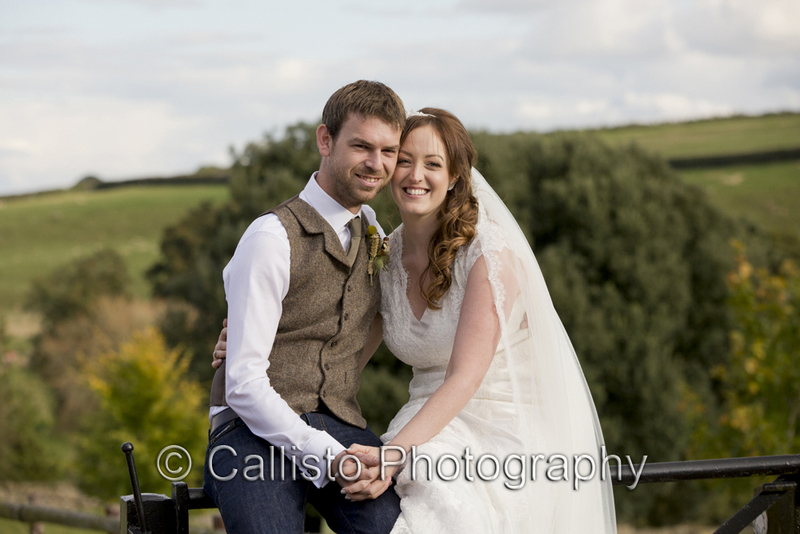 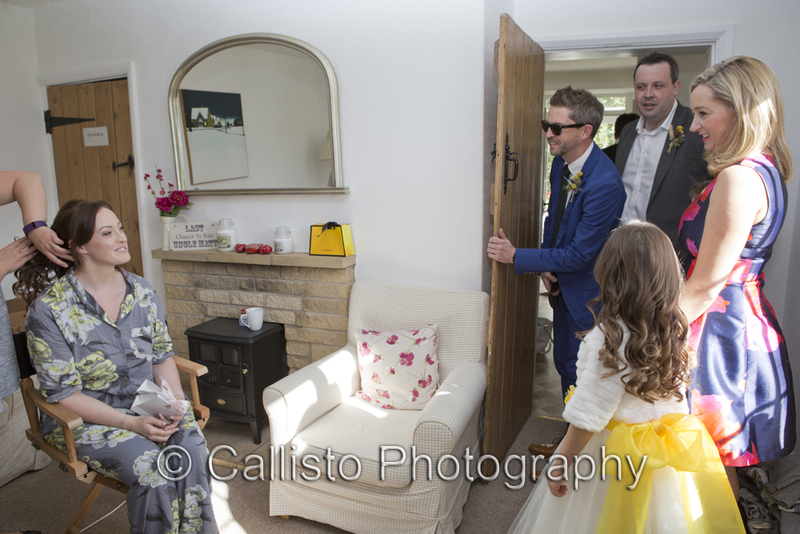 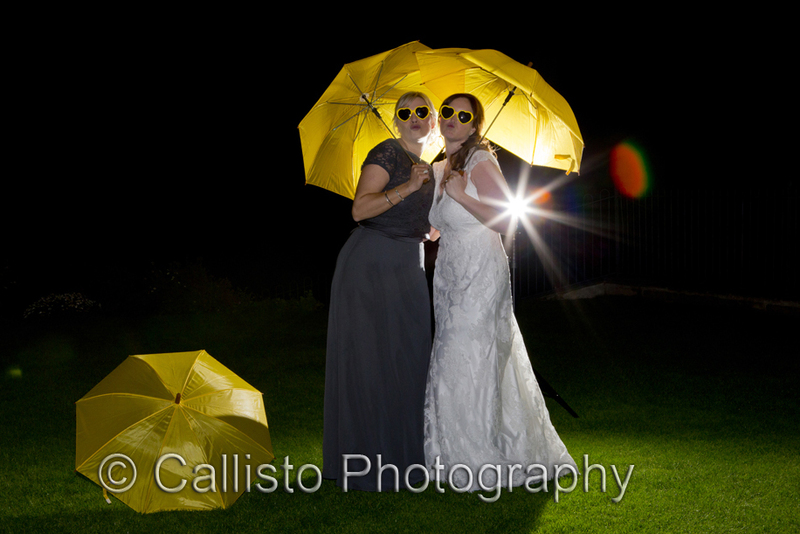 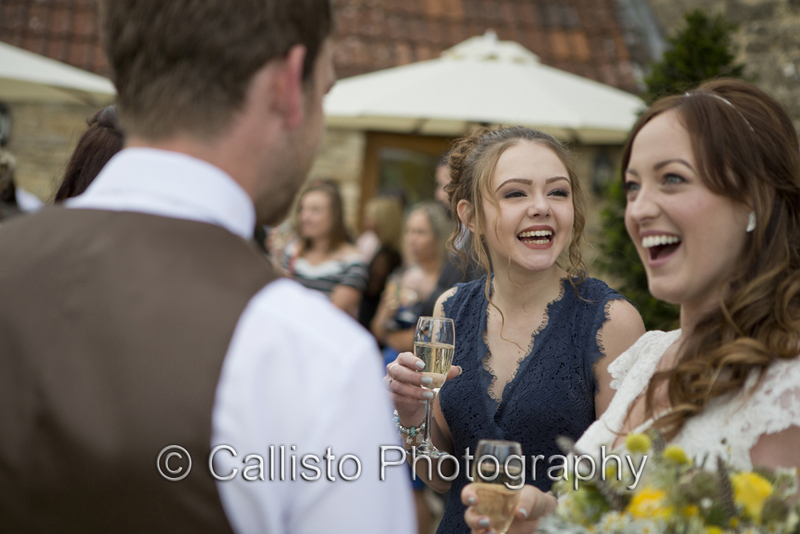 Loved Lou & Matt’s Kingscote Barn Wedding – The first words Lou uttered to me were “I’ve been stalking you on social media” which was an interesting opening line and as we chatted, Chris & I knew their wedding was going to be so much fun and slightly ‘off piste’. 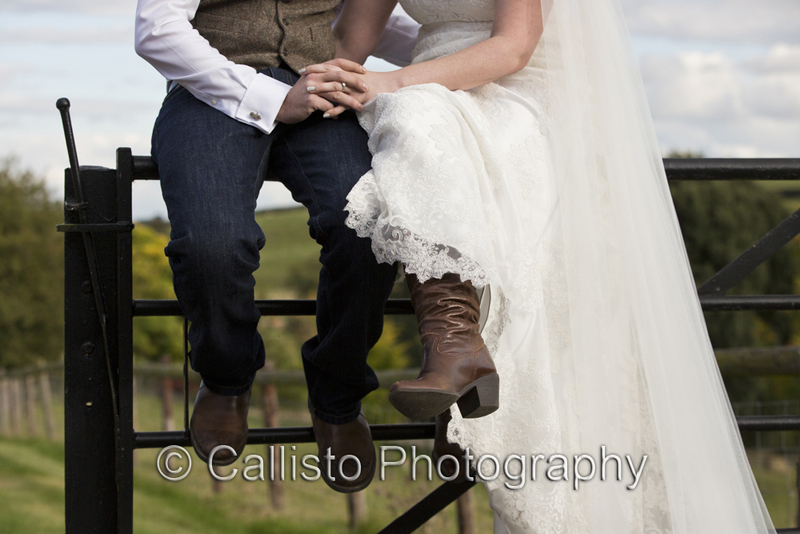 The first sign of it not being a ‘normal, run of the mill’ wedding was when Lou ditched the idea of sparkly, stiletto heels for the comfort of cowboy boots, my kinda gal! 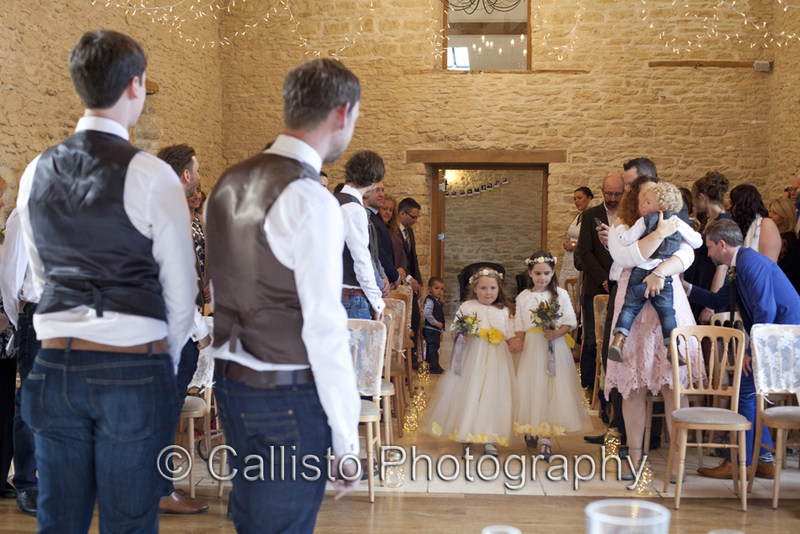 The second sign, were the tiny Lego Star Wars characters in the bouquets & button holes, thank goodness Lou was Princess Leia and not the big, brown bear ..… Chewbacca! 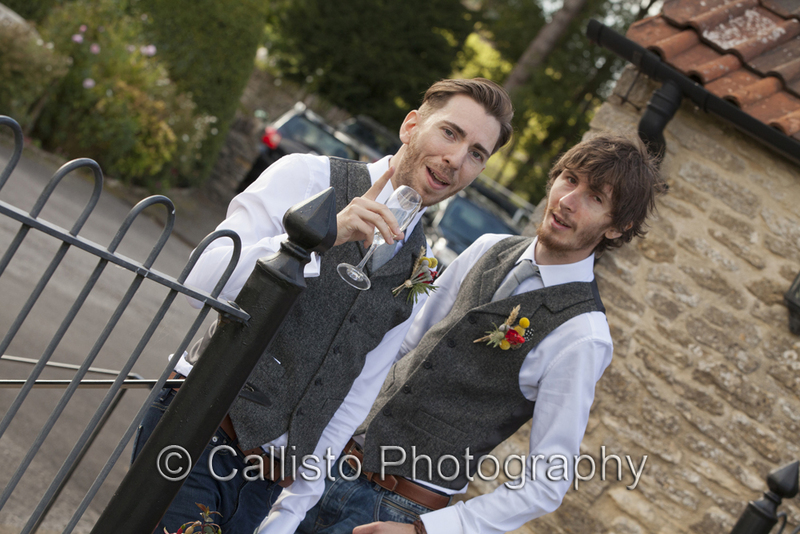 Lou looked fab in her Allure ‘keyhole back’ gown and Matt didn’t let the side down either; no suits here, jeans and tweed waistcoats were the order of the day and his Lego minifigurine was Han Solo. 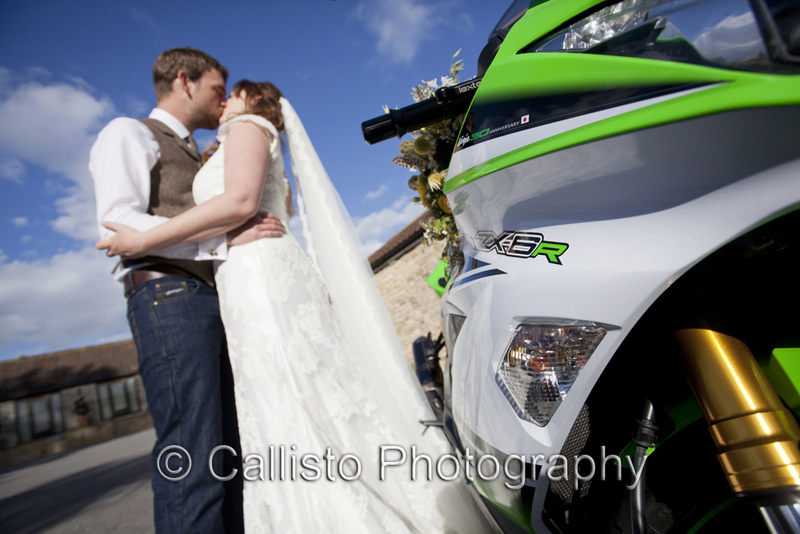 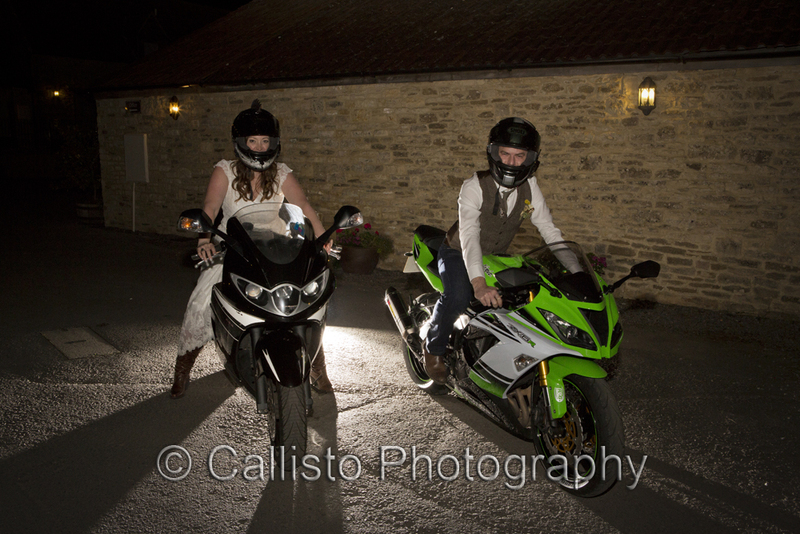 Matt & Lou are big lovers of motorbikes so an array of bikes was on display at the front of the barn alongside Matt’s beloved Kawasaki Ninja. 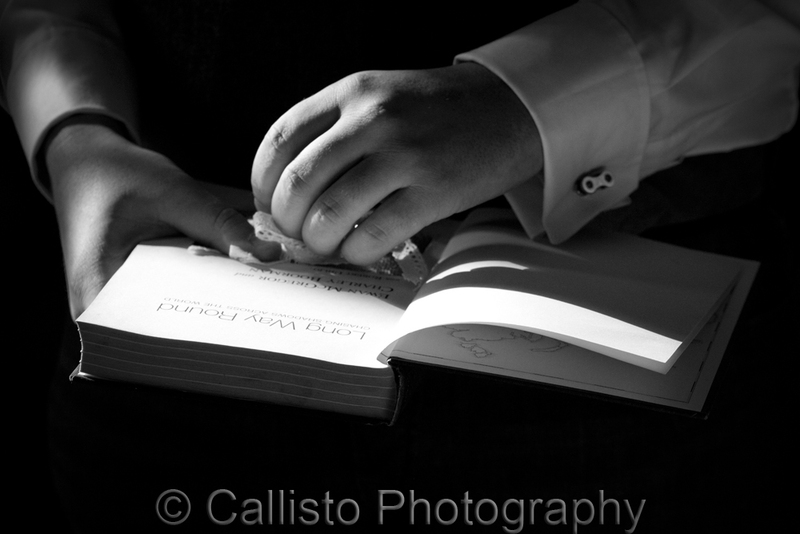 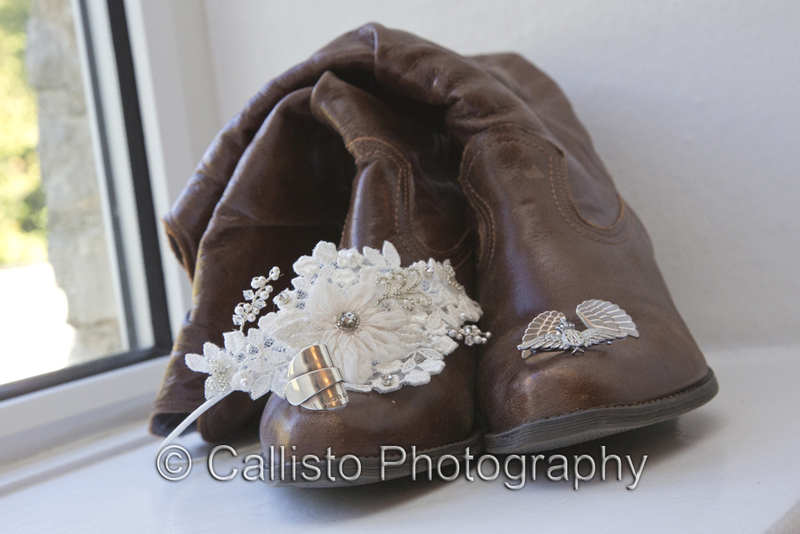 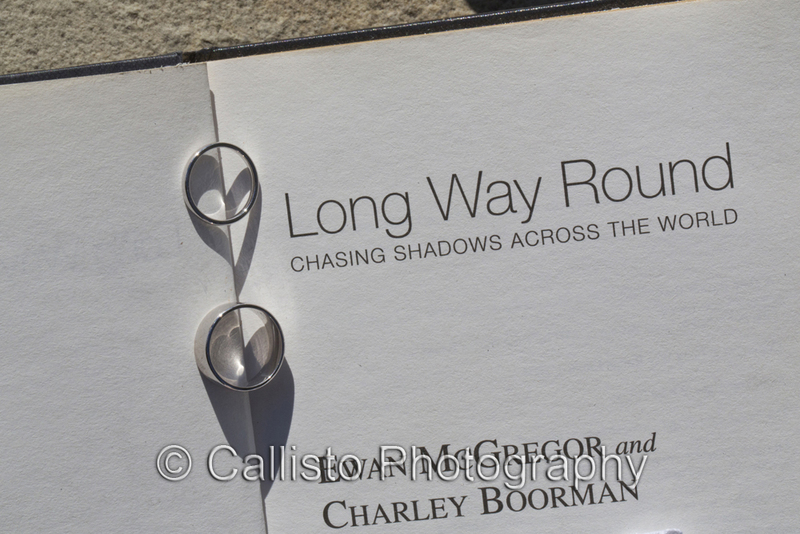 One of the couple’s favourite TV shows is Ewen McGregor & Charley Boorman’s “Long Way Round” and they incorporated this into their wedding by presenting the rings on the book of the series. 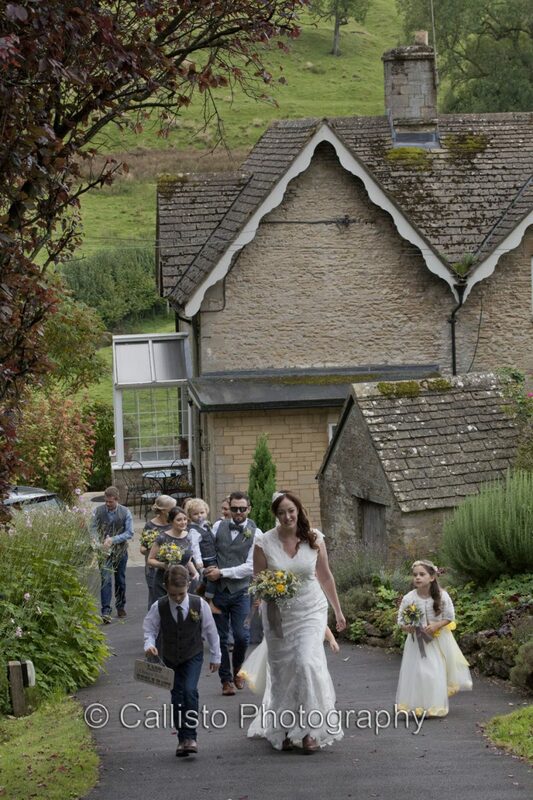 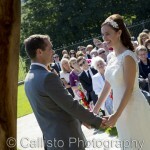 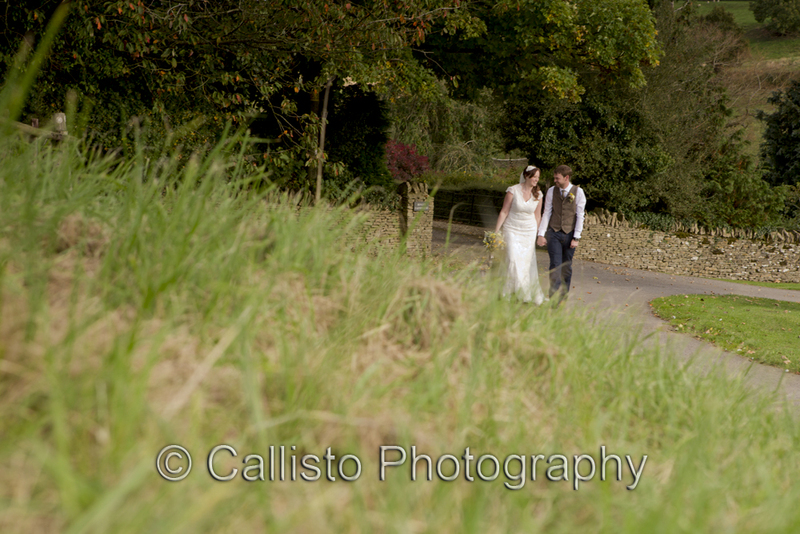 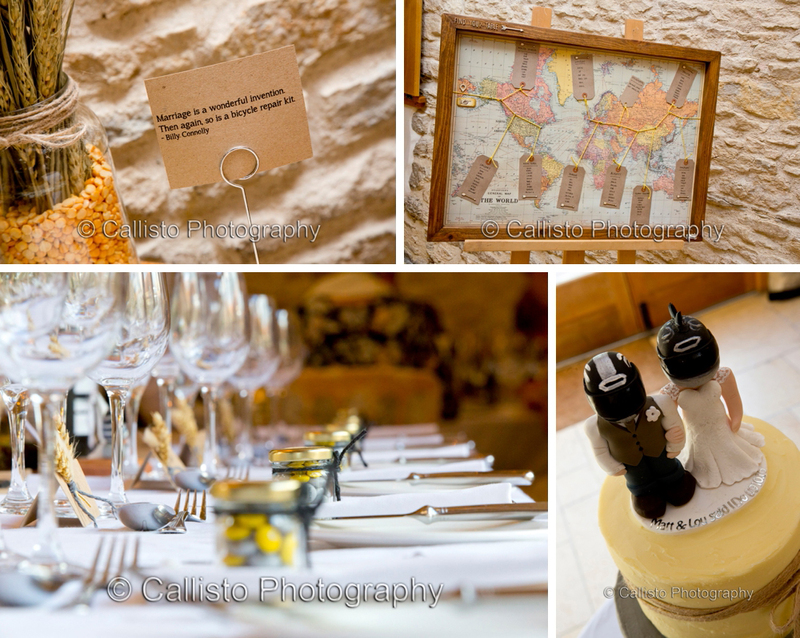 Their table plan plotted the route taken by Ewen & Charley. 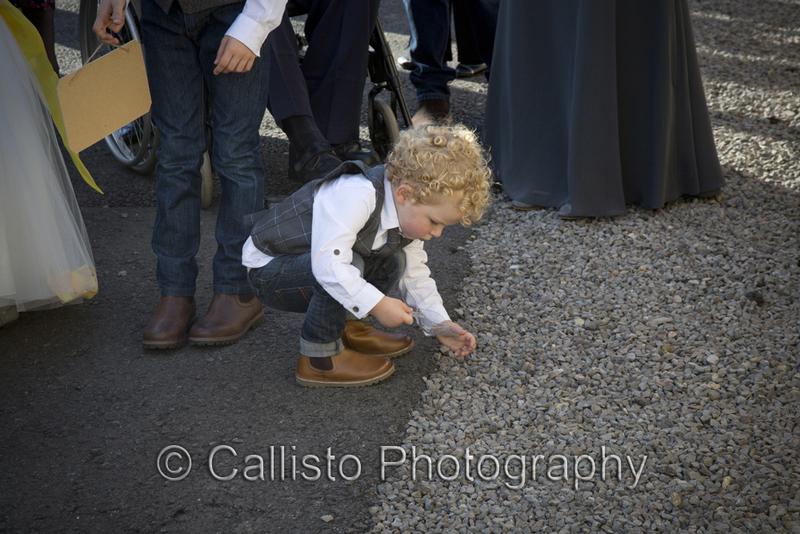 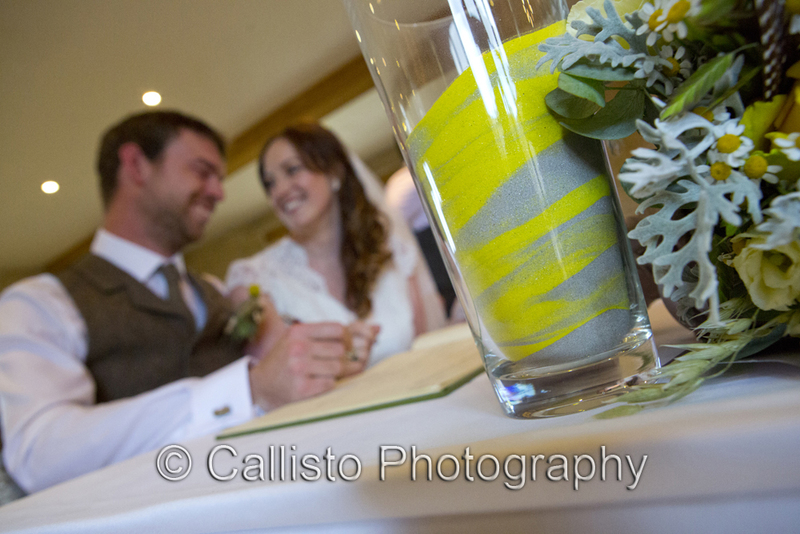 Staying with ‘off piste’, Lou & Matt had a ‘sand ceremony’ which involved pouring grey & yellow sand into a vase, blending the two colours together, something tangible they could keep forever. 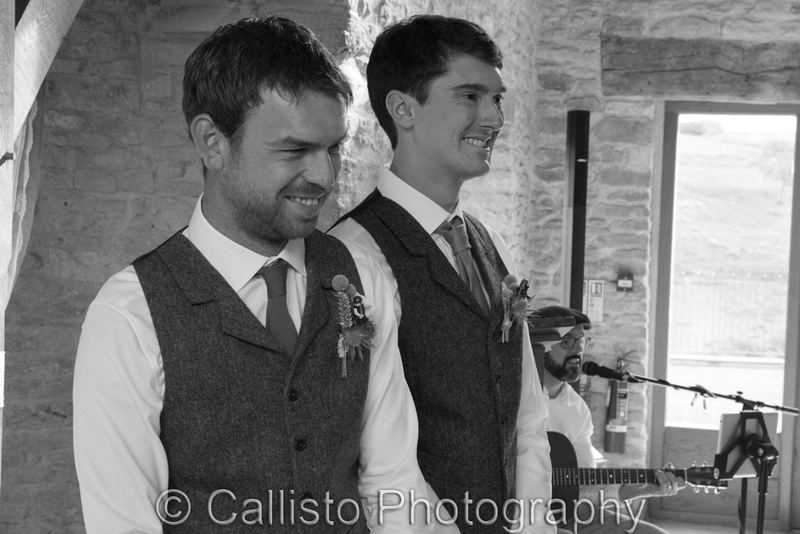 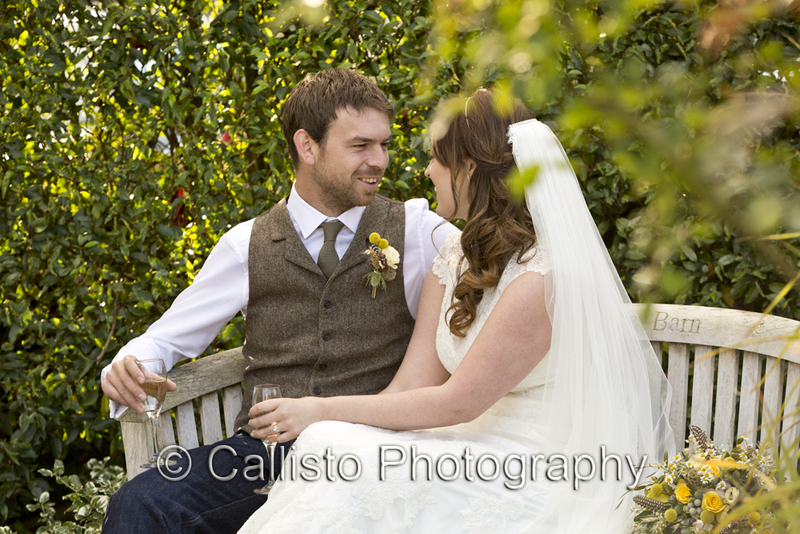 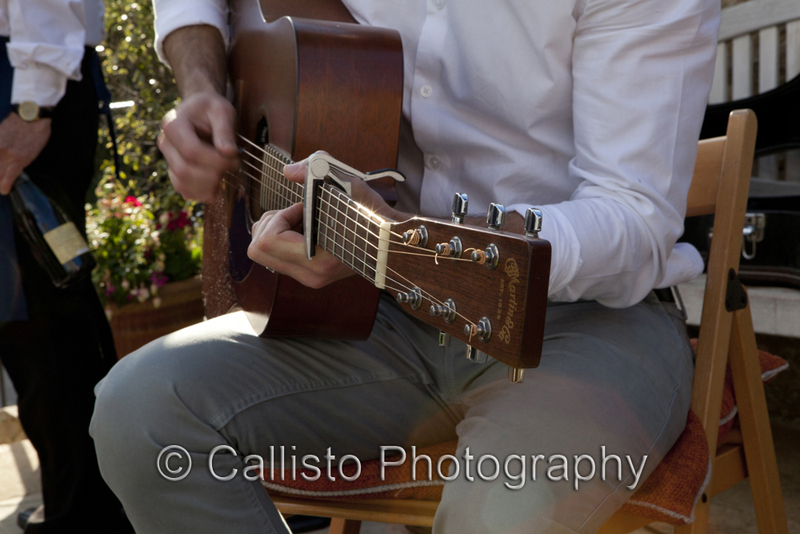 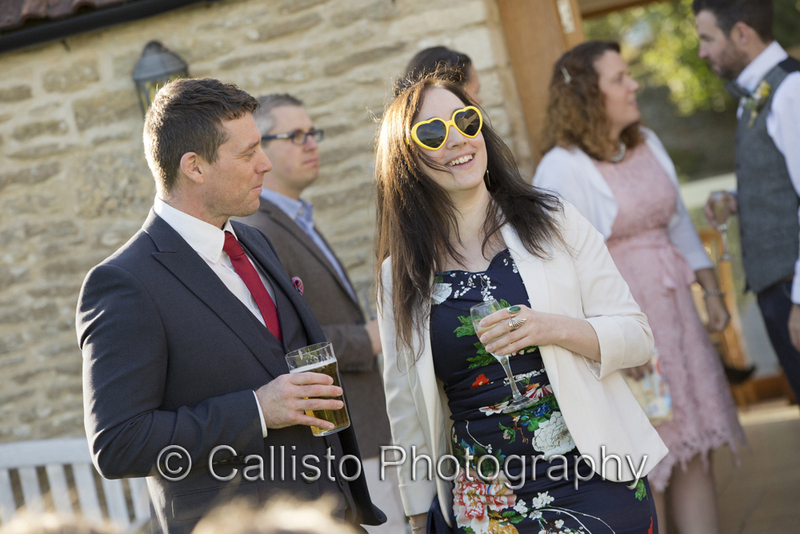 After a few drinks with their guests and Matt Bee strumming away on his accoustic guitar, we were off down the lane with Lou & Matt and whilst they were laughing and sharing a joke, Chris & I kept our distance, giving them some quiet time together. 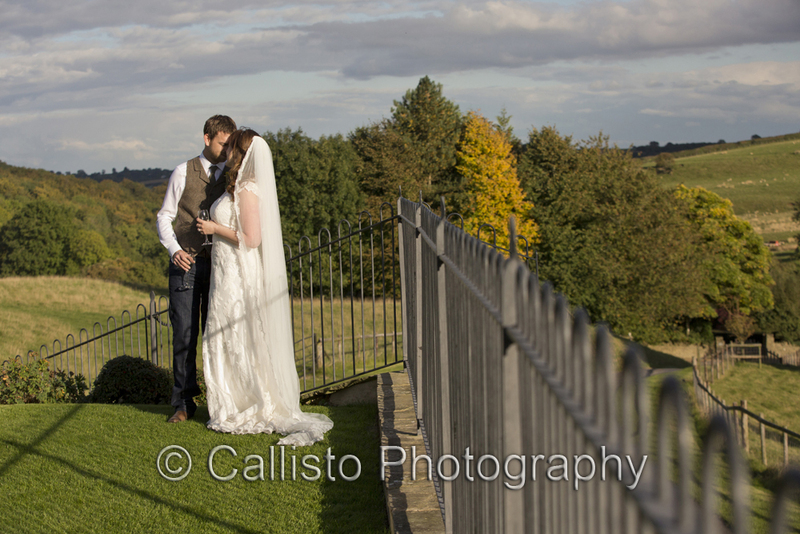 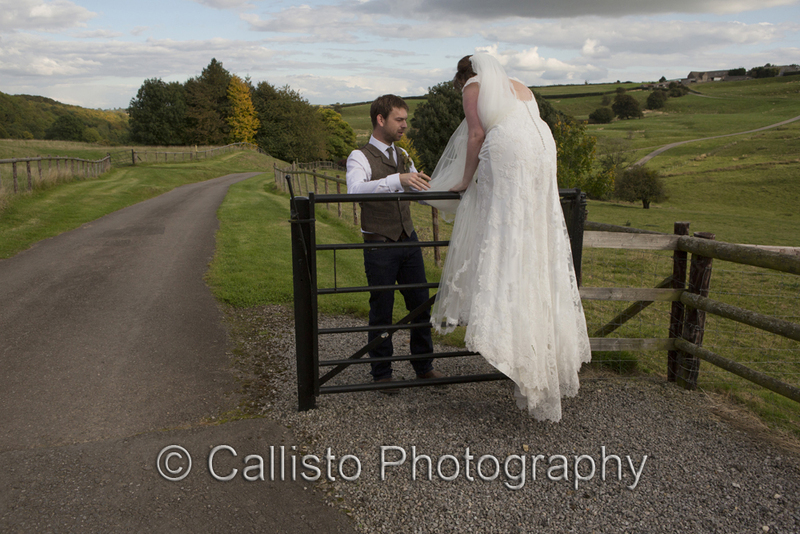 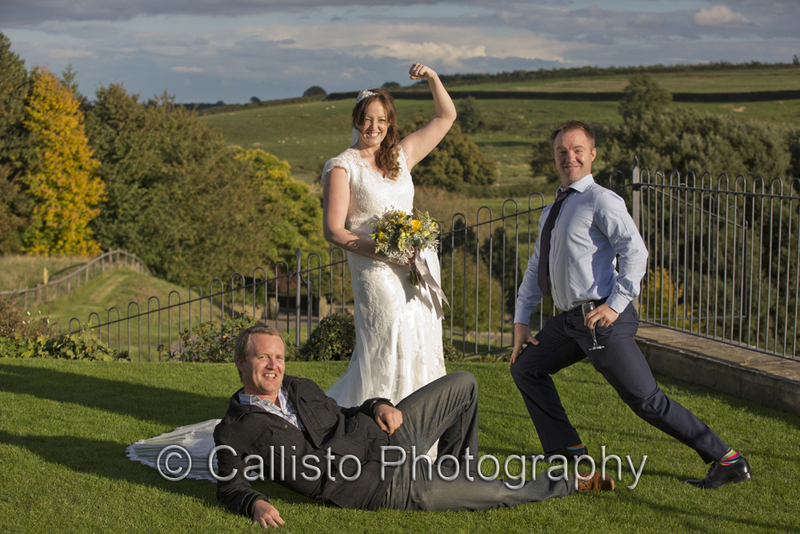 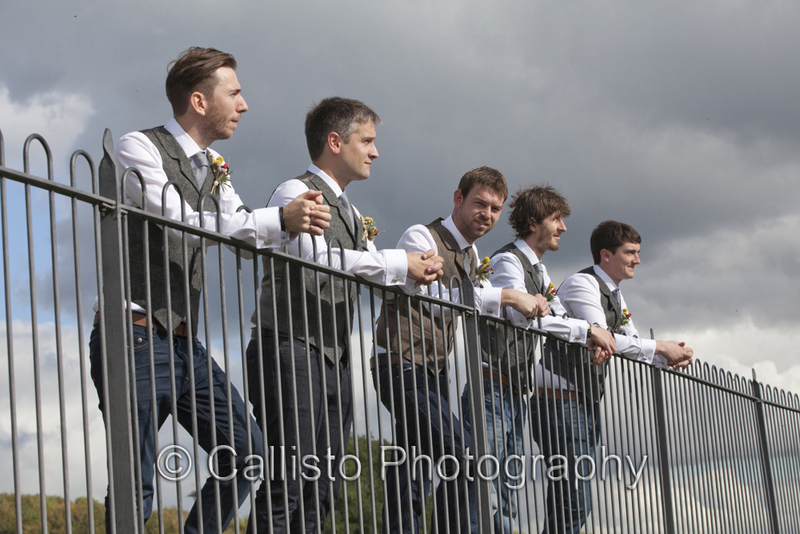 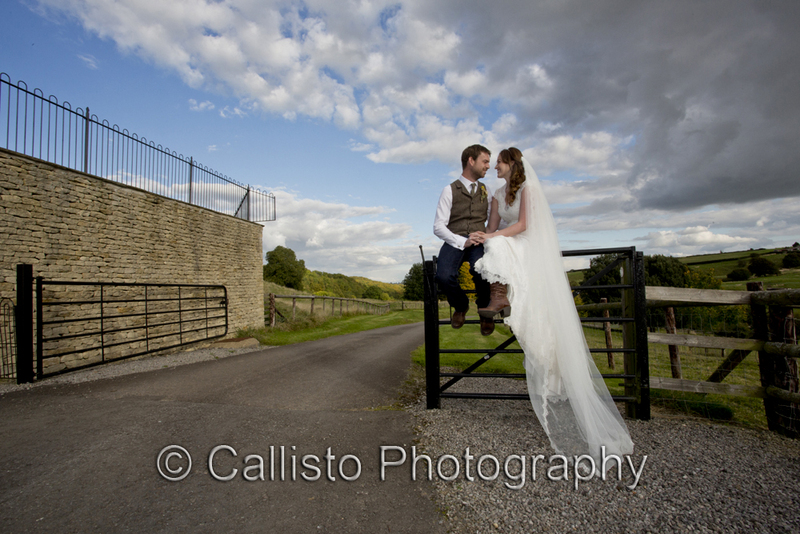 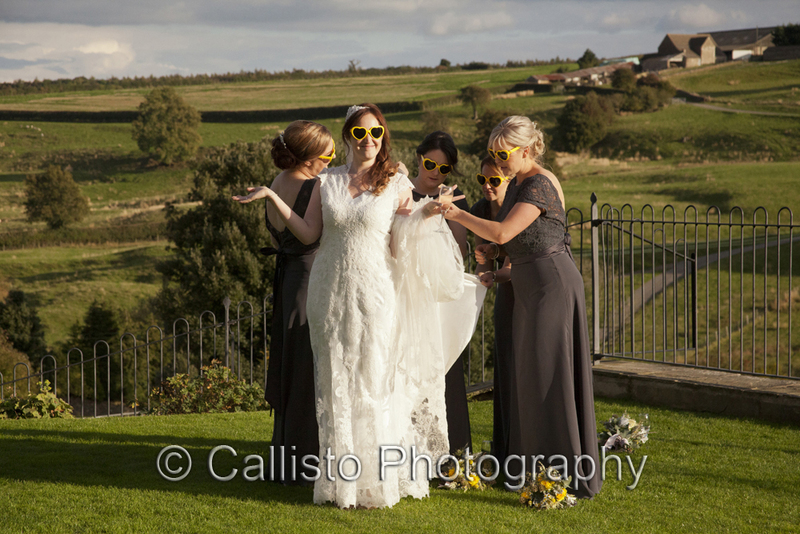 Most brides are happy to sit on a bench for a few shots but no, Lou wasn’t content with that, so climbed onto a gate to show off her cowboy boots and there was also a ‘cheeky bottom shot’ but we won’t go there, you’ll just have to find it in the pictures. 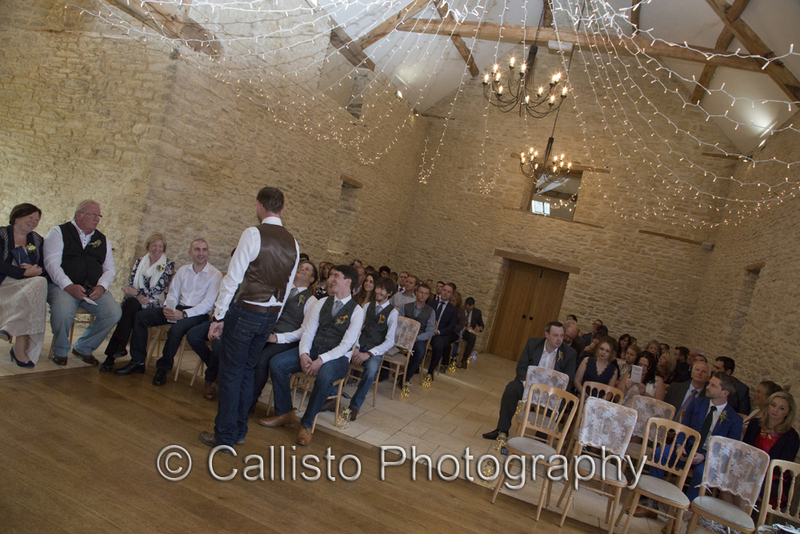 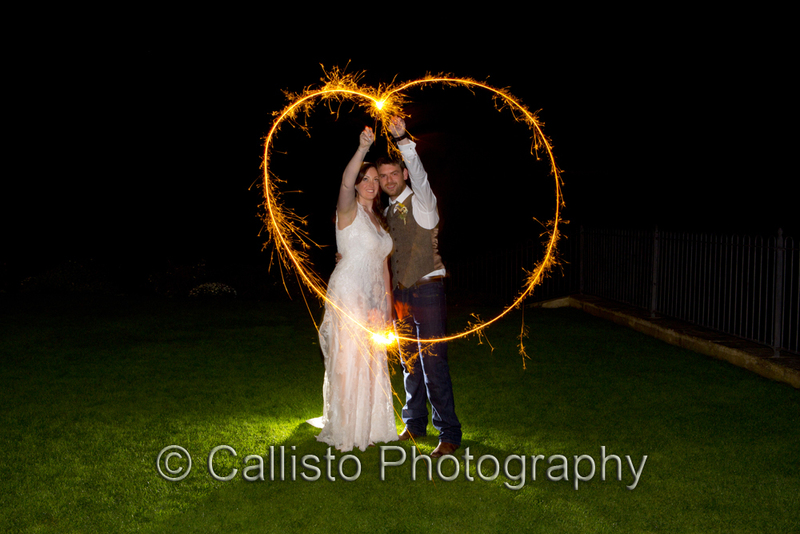 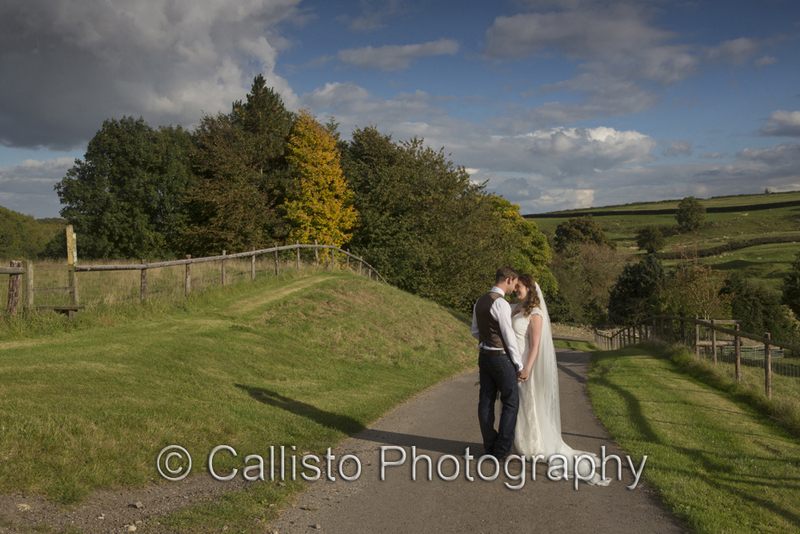 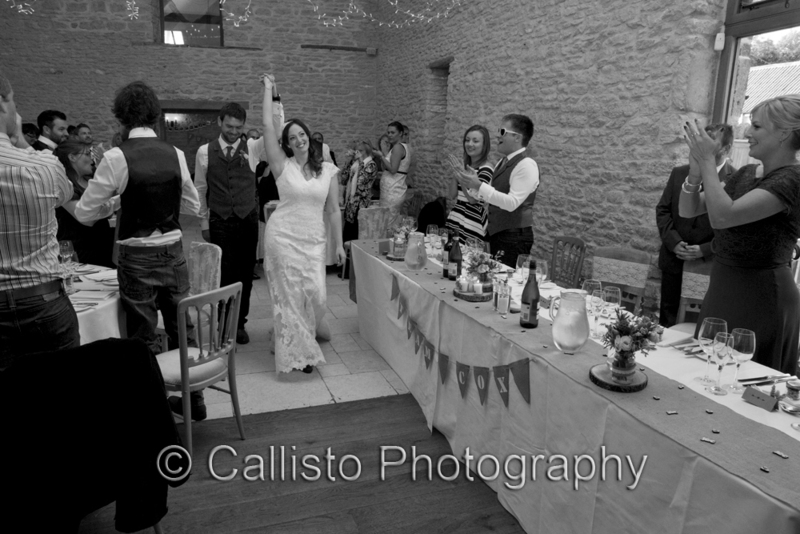 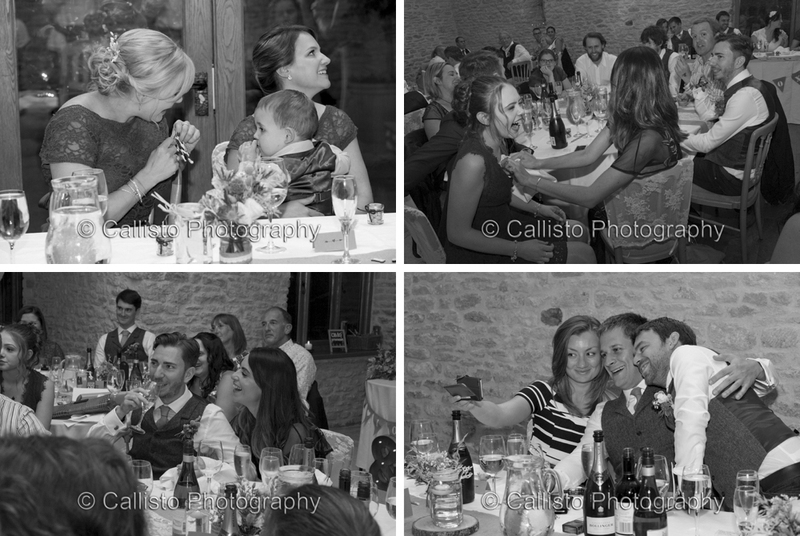 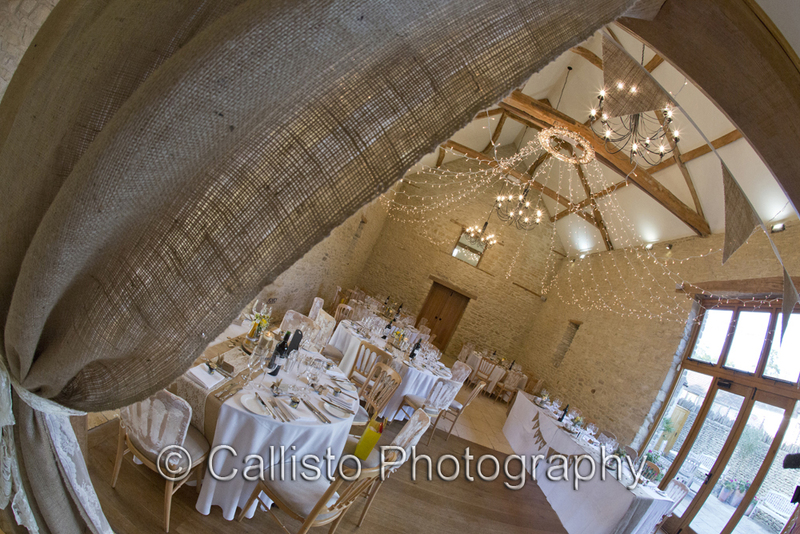 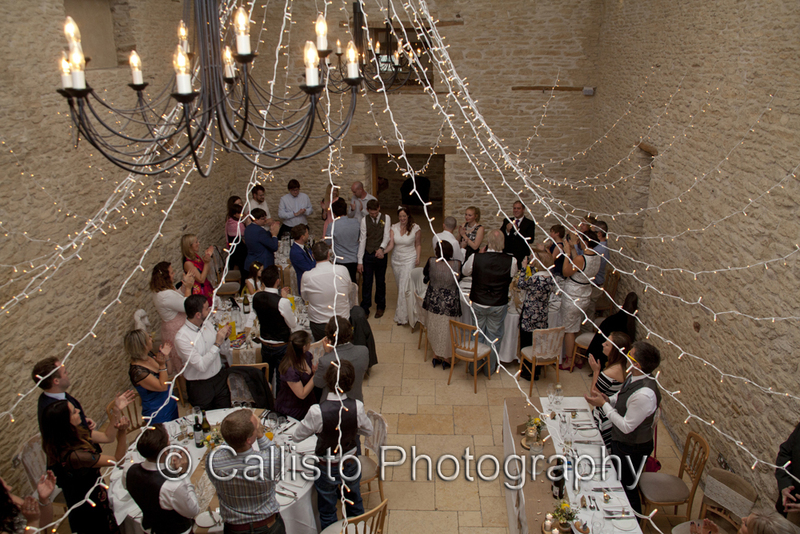 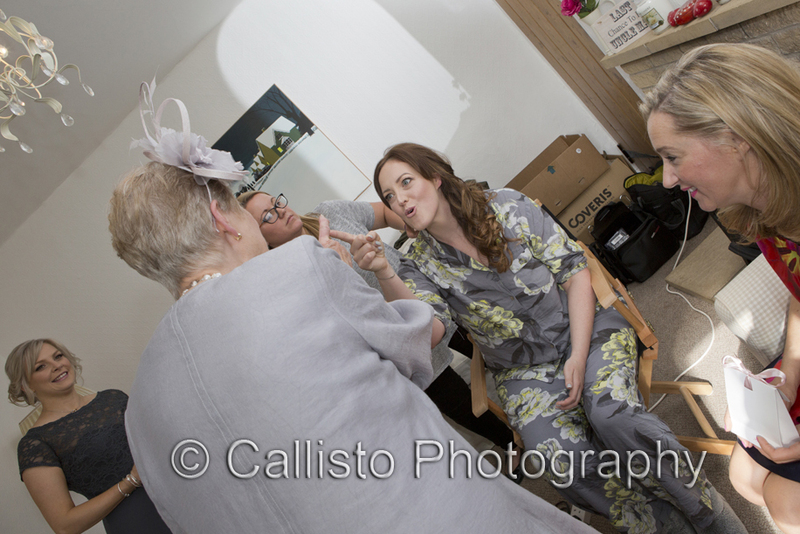 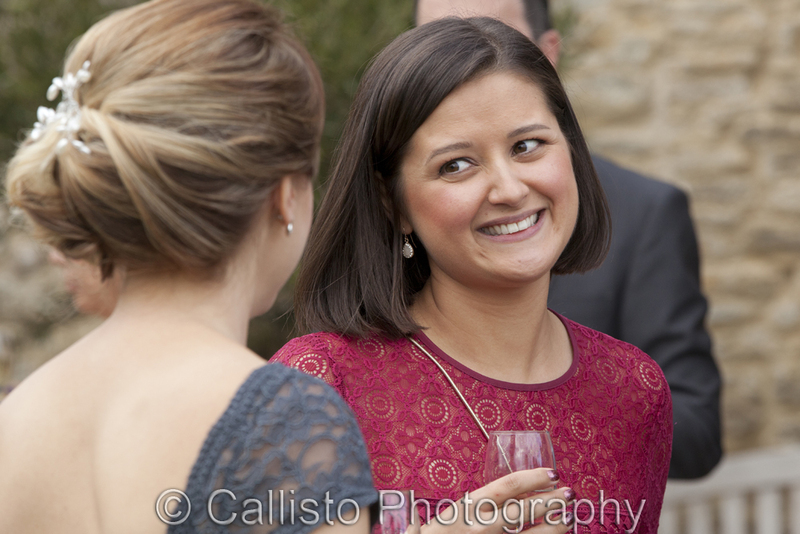 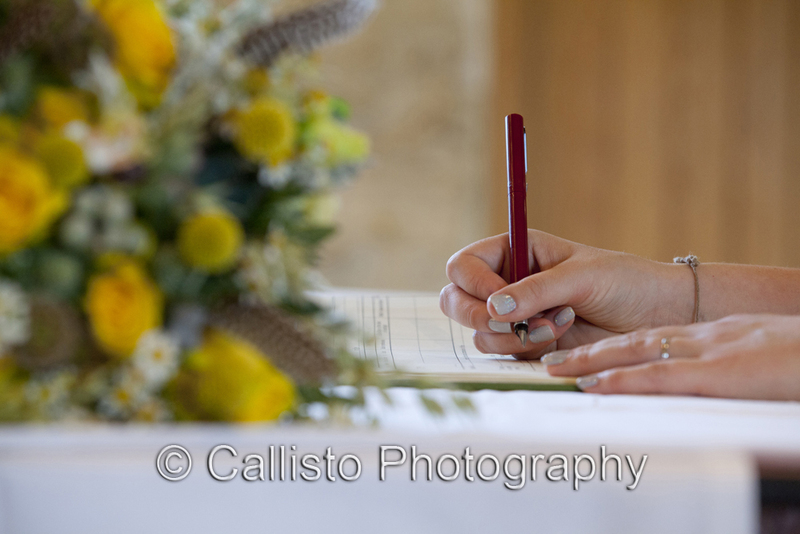 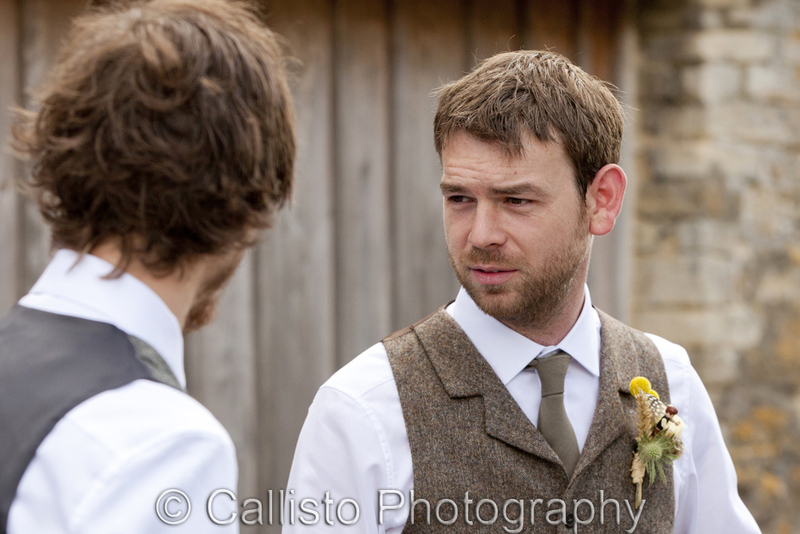 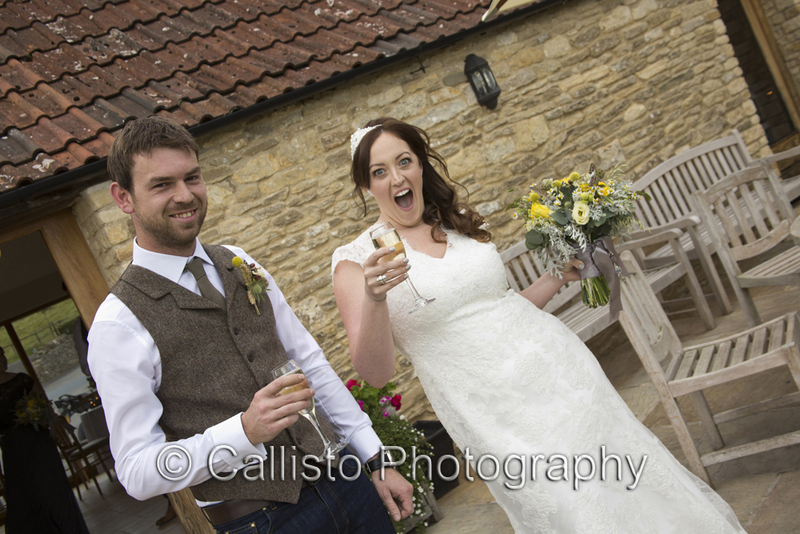 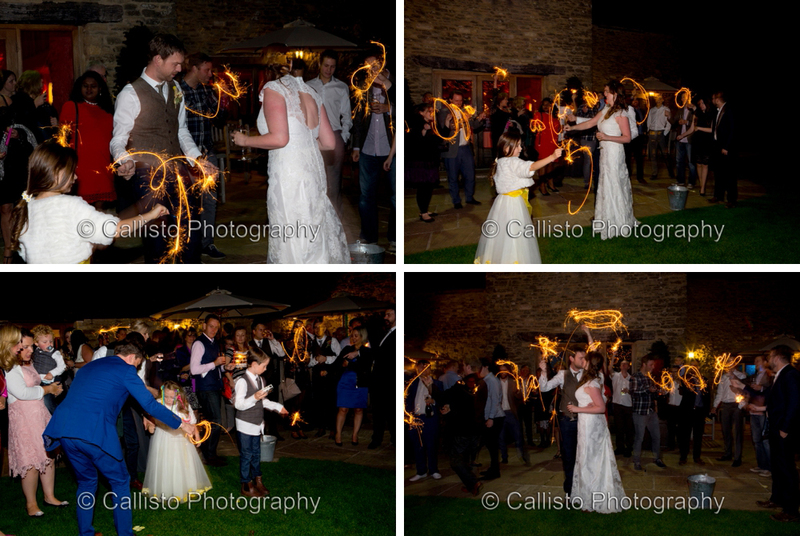 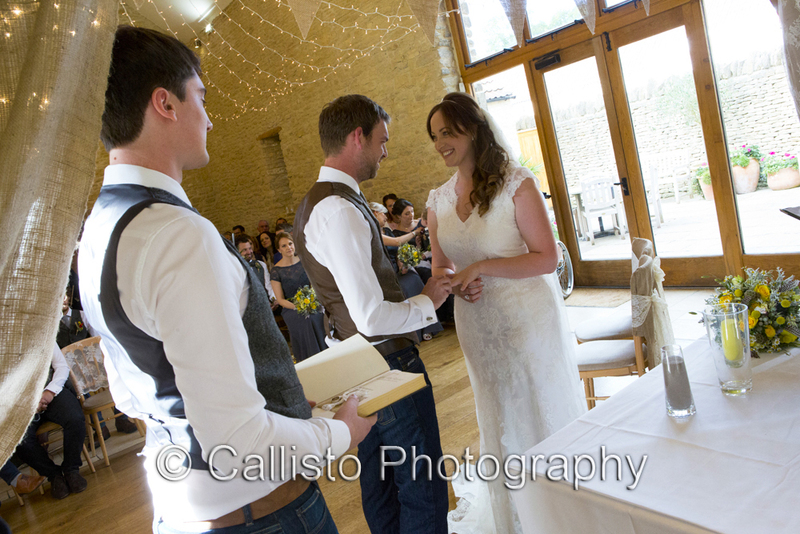 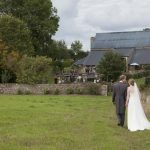 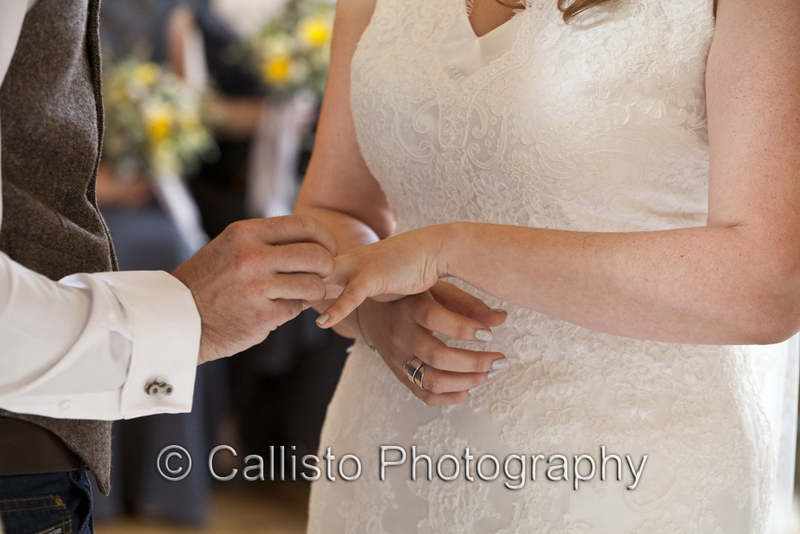 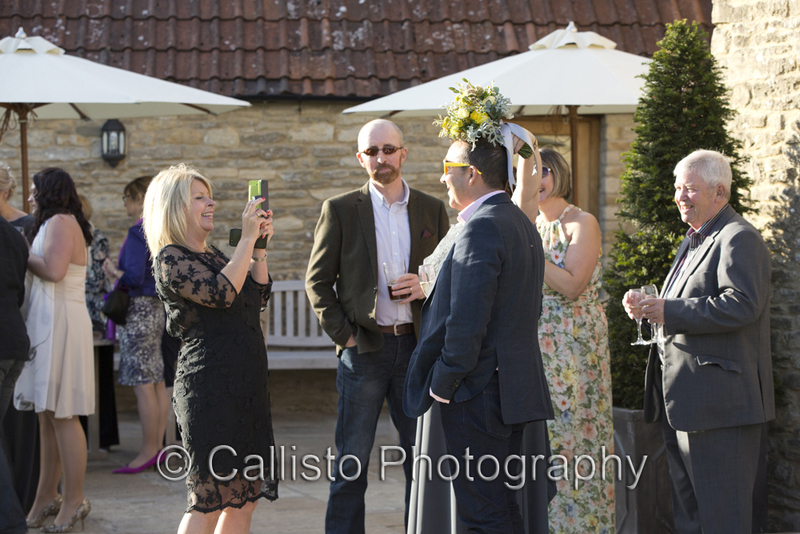 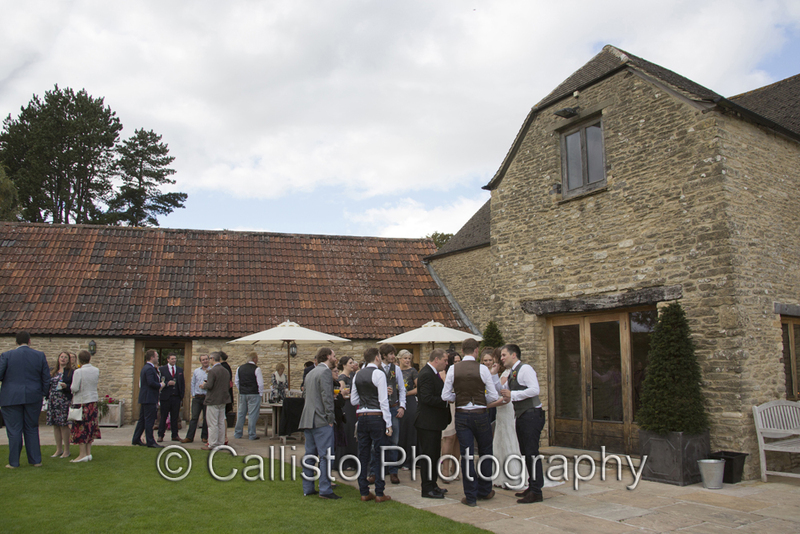 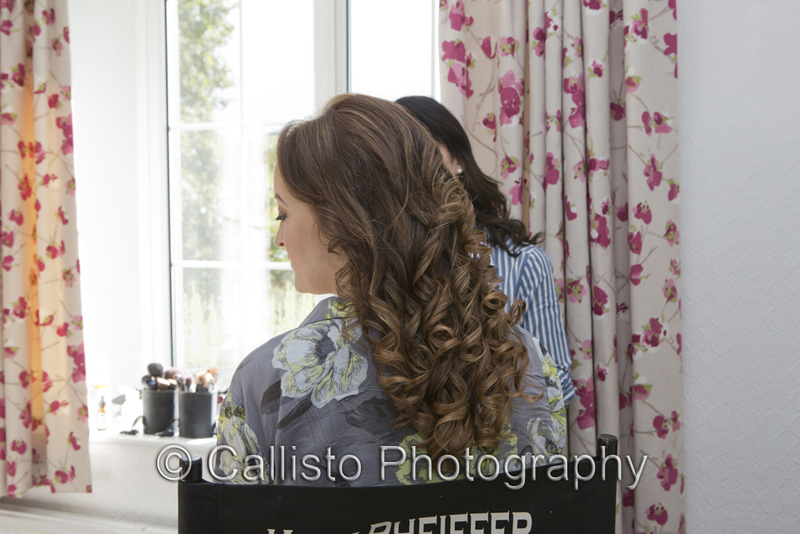 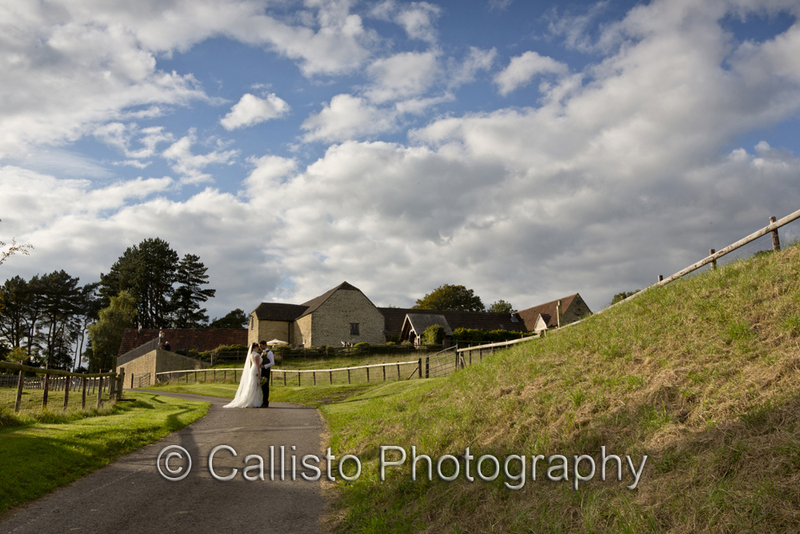 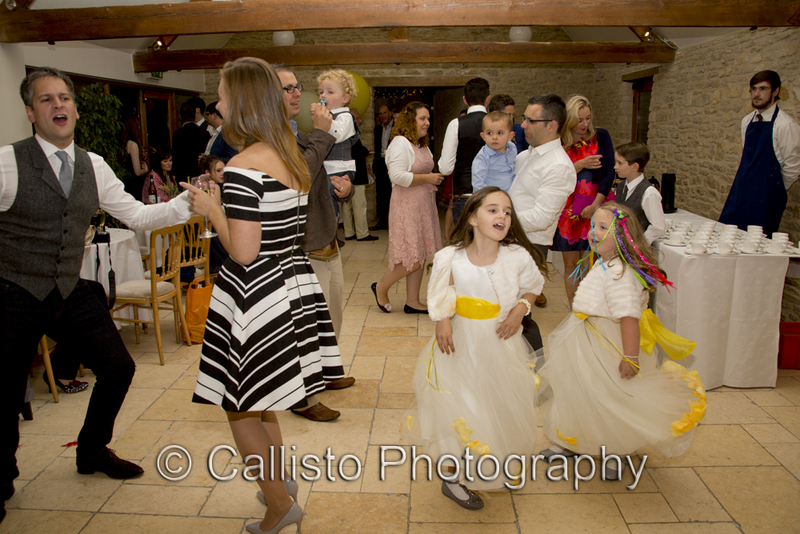 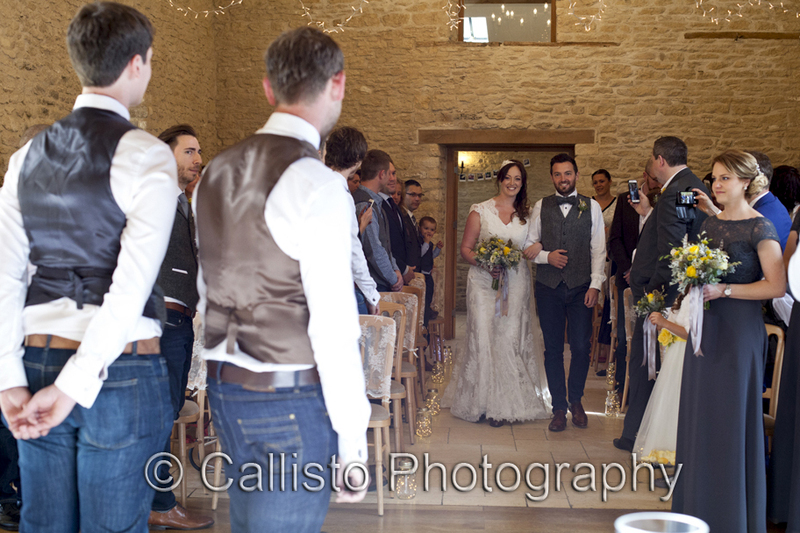 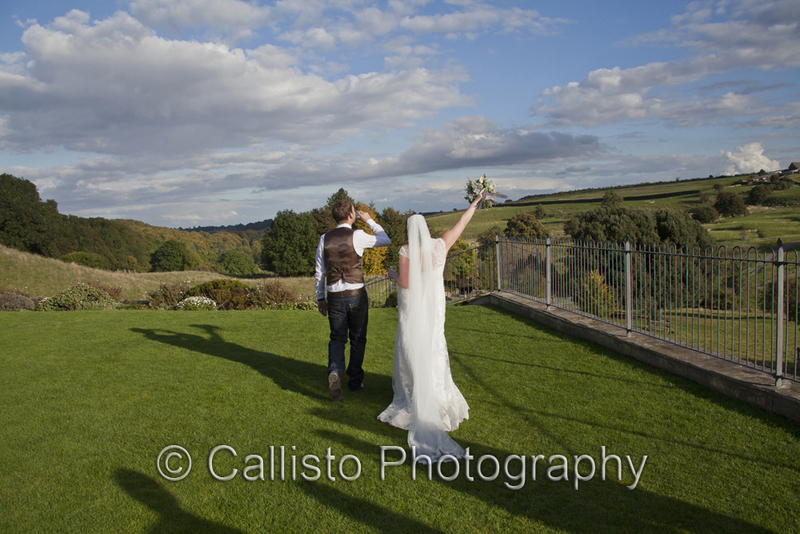 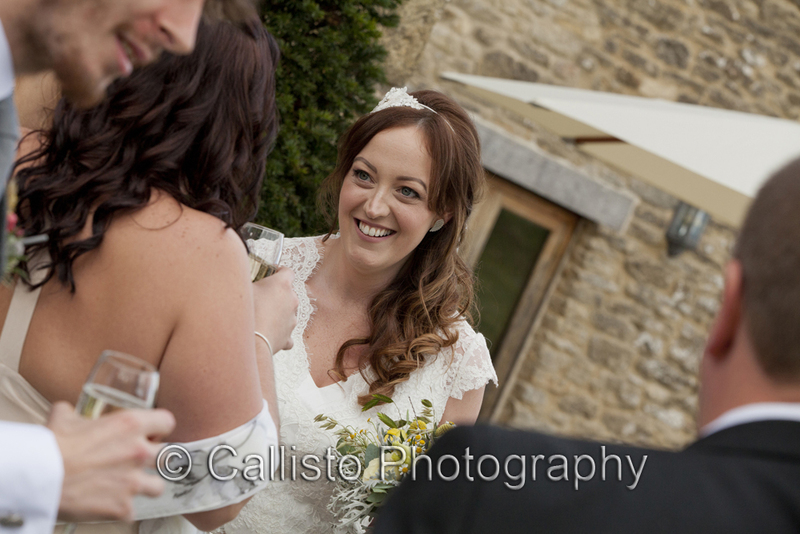 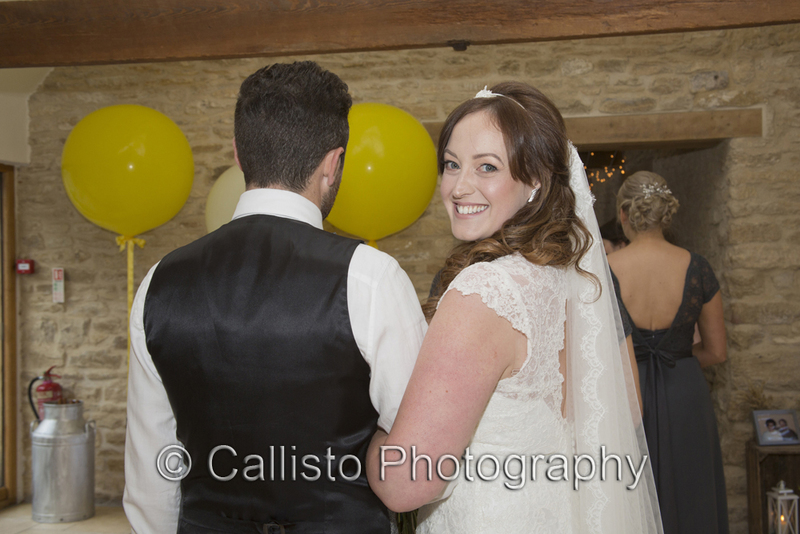 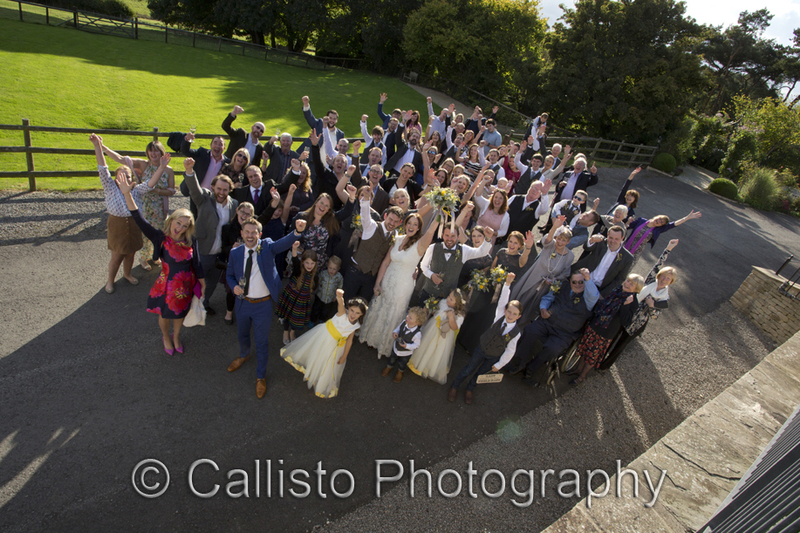 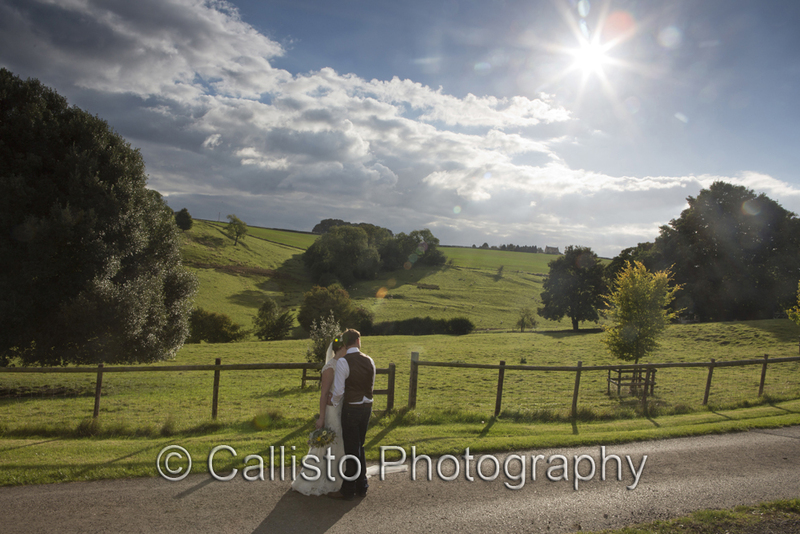 Kingscote Barn is a beautiful venue and with champers in hand they rejoined their guests, I papped away whilst Chris went inside to capture the action. 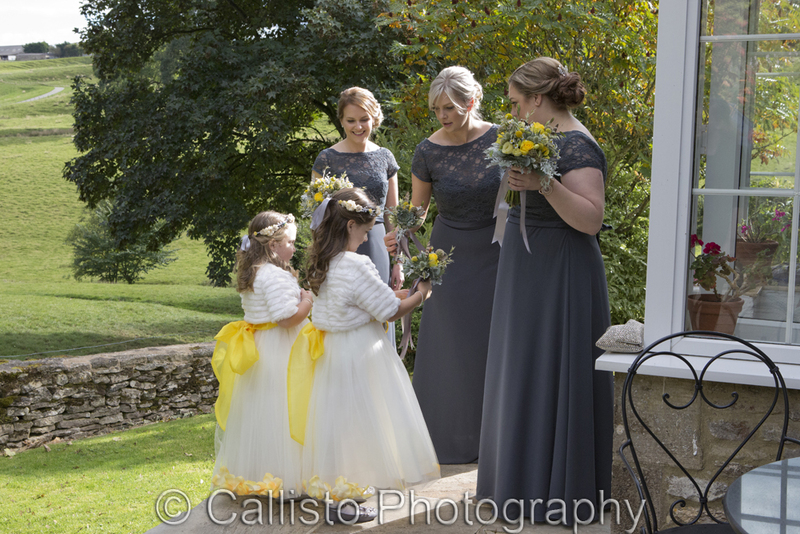 I love my long lens: the flowergirls were rolling around on the grass so I joined them to snap a few photos, lined up the perfect shot only for it to be photobombed by one of the youngest guests there! 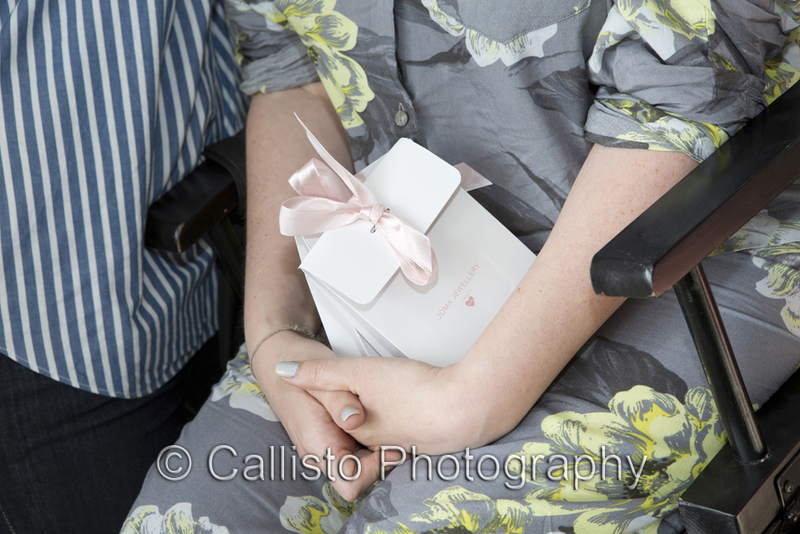 The speeches were great, I even got a mention & a little thank you gift. 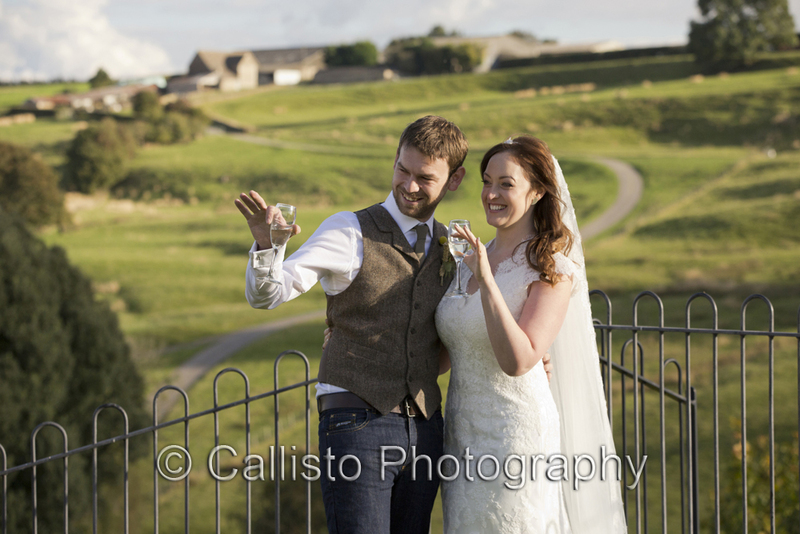 Lou was grateful for all the extra help & advice I had given her over the last few months and I was very happy with my pressie of Gin. 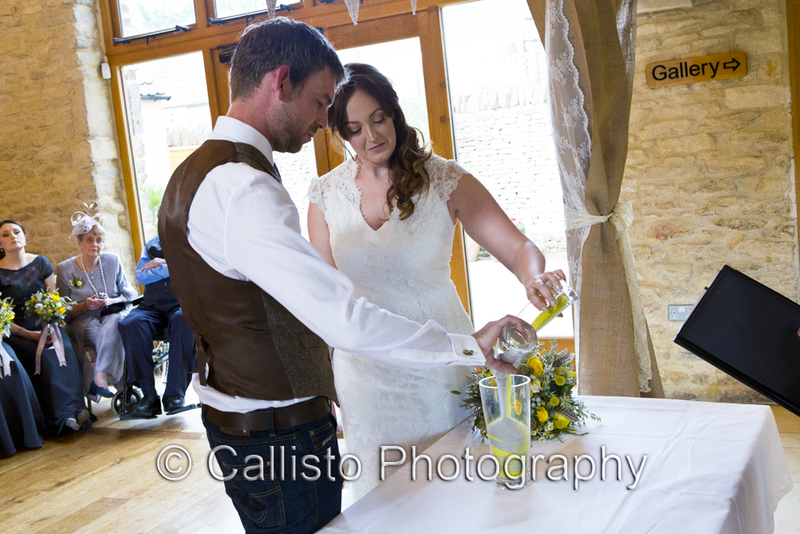 Now how did she know I liked gin? 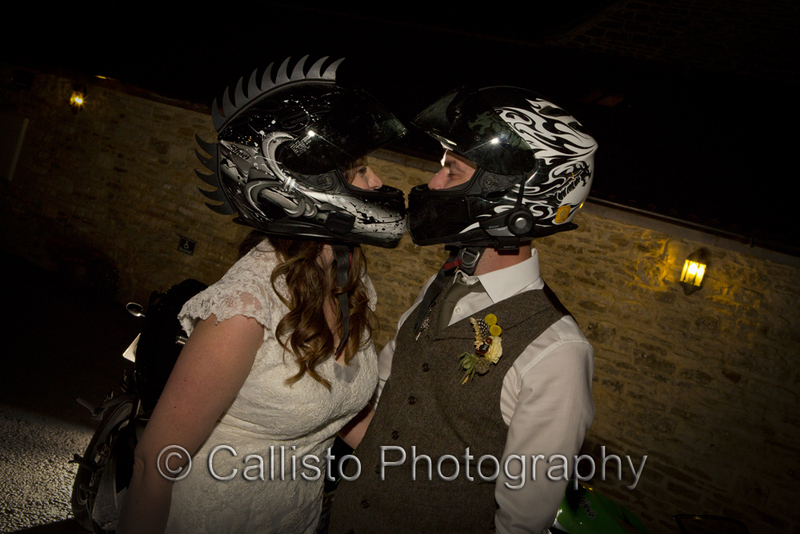 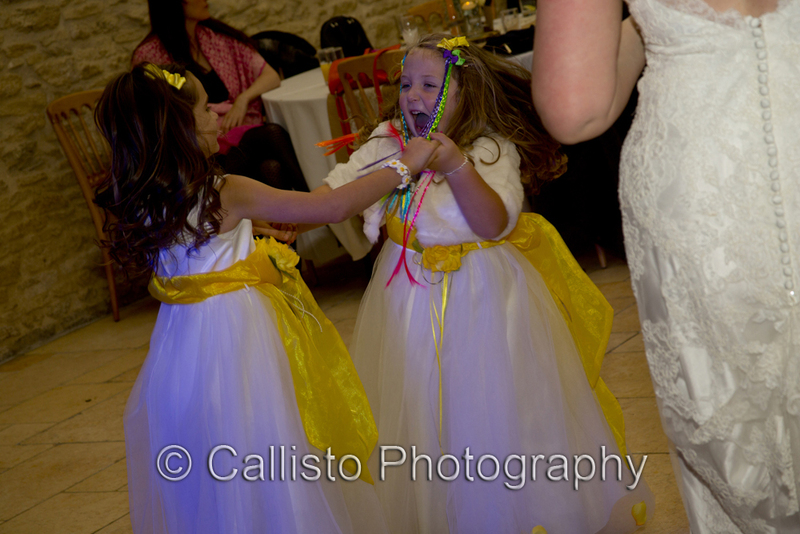 The evening can be summed as follows: tackling the cake with a lightsaber, sparklers, lots of alcohol, one very loved up couple, lots of Dad dancing, motorbike helmet kissing? 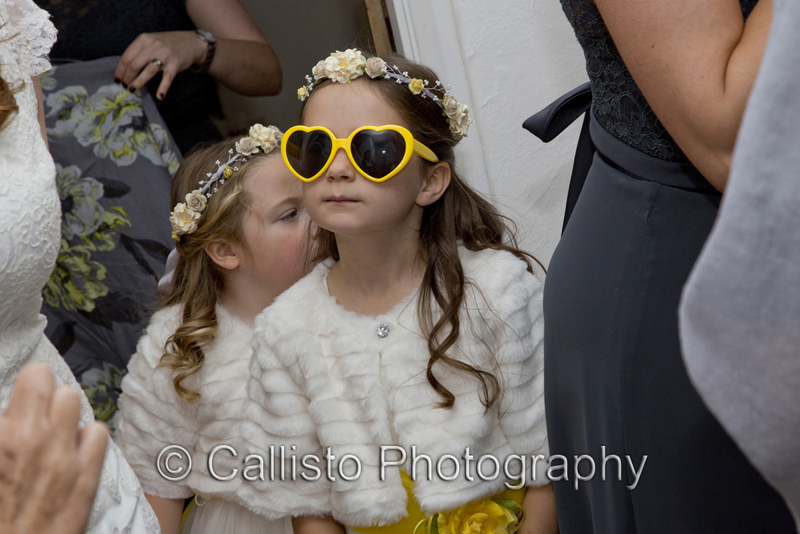 Yellow, heart shaped sunglasses everywhere & one very important Ninja. 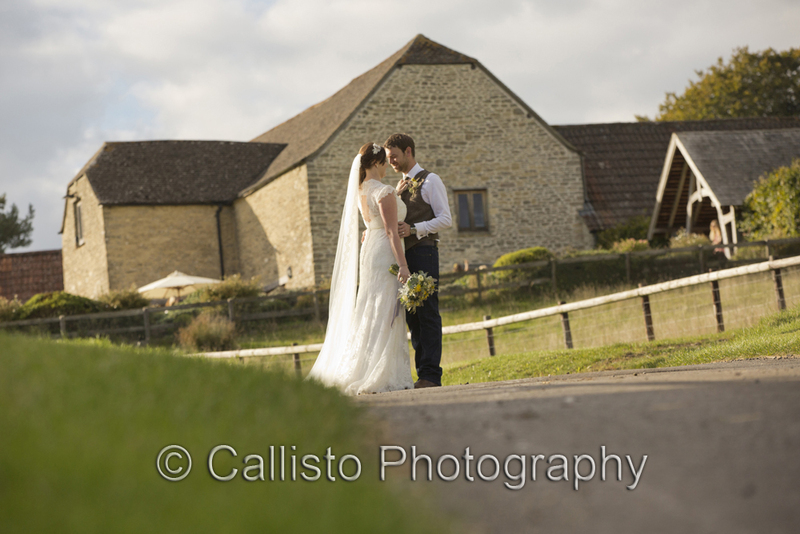 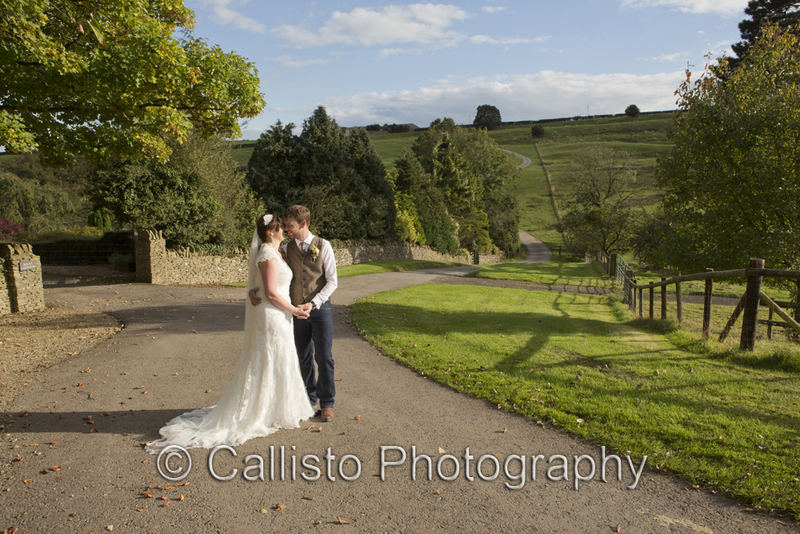 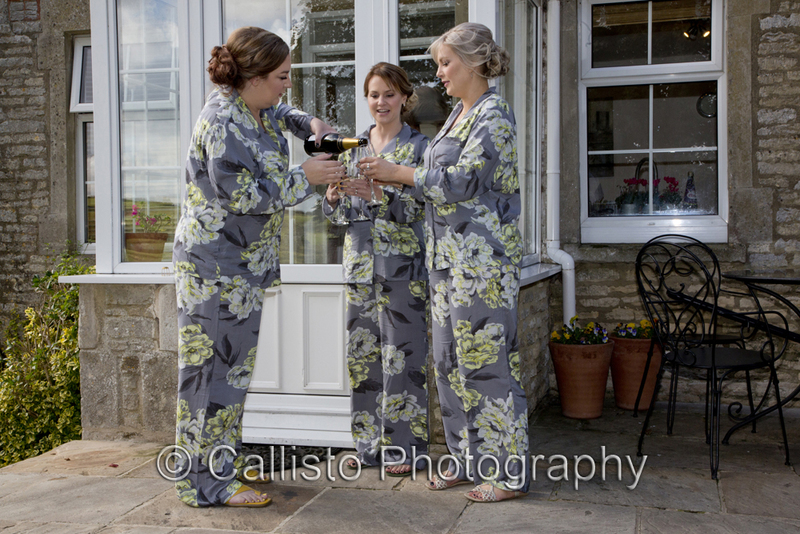 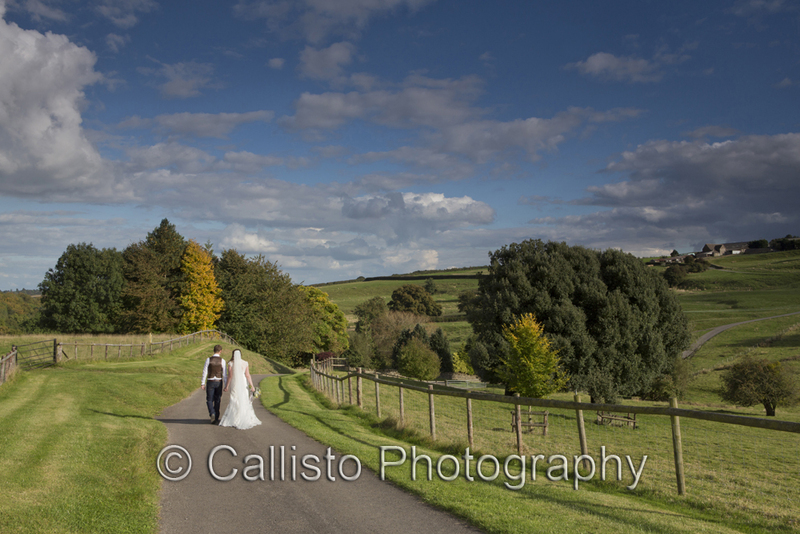 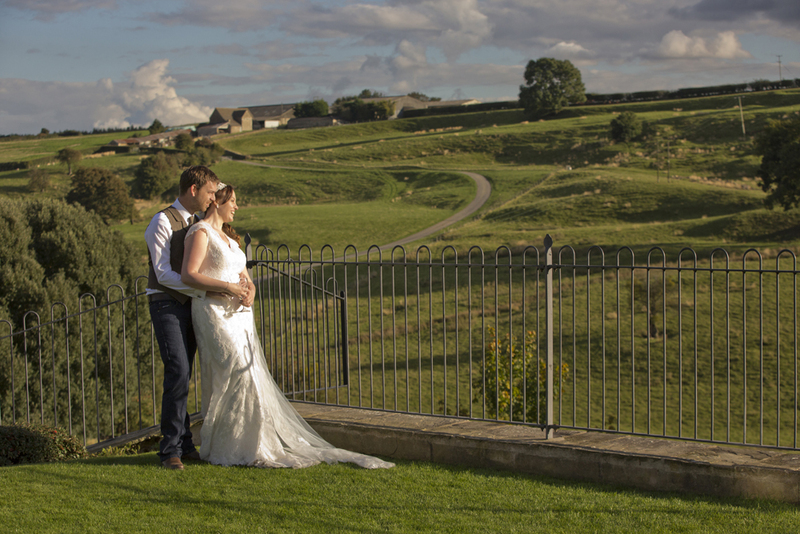 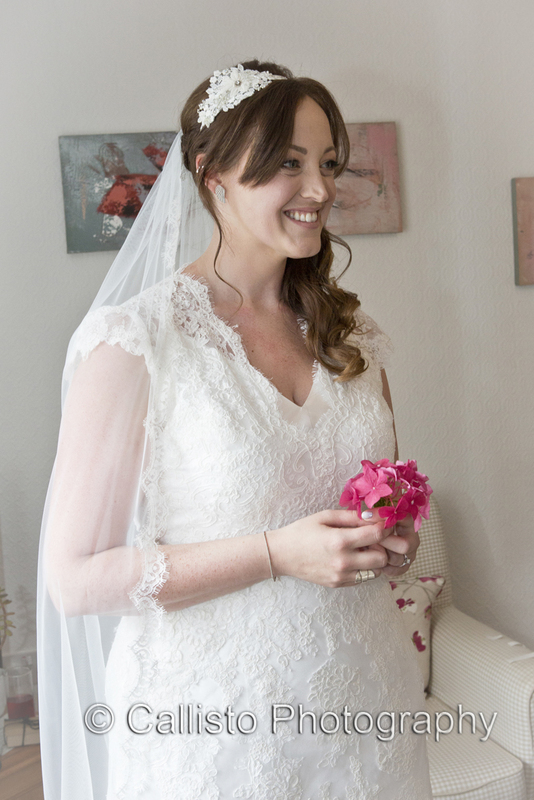 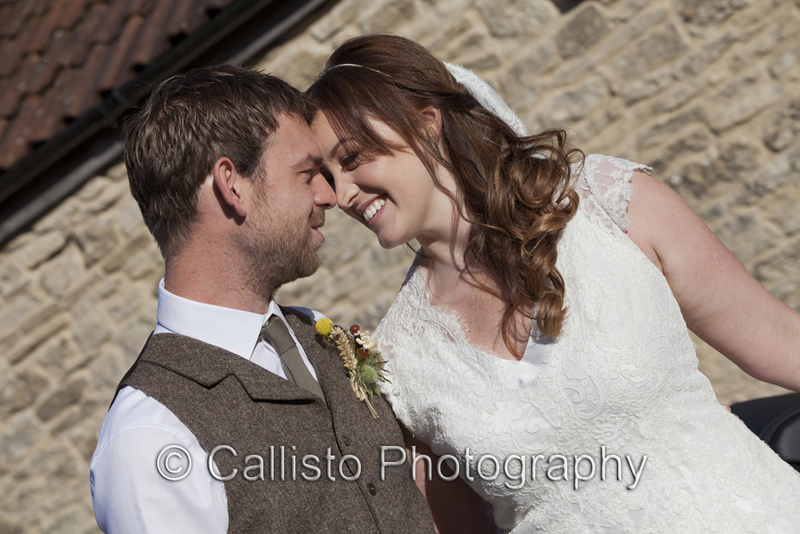 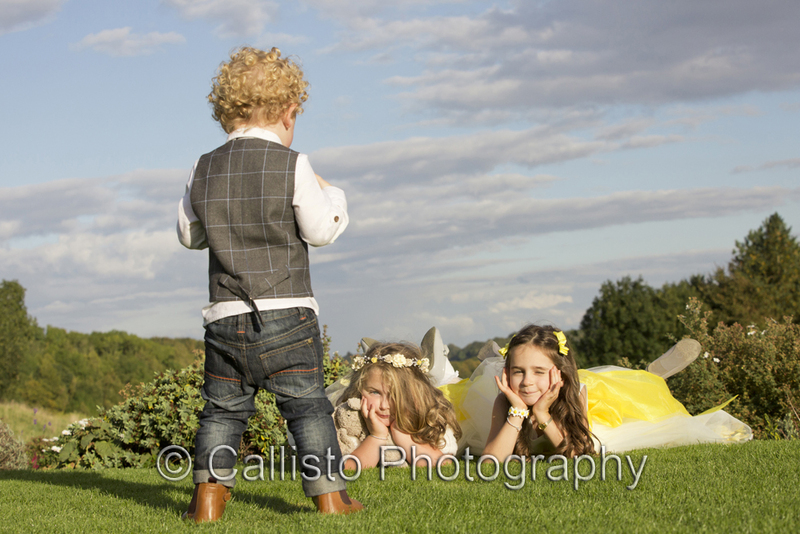 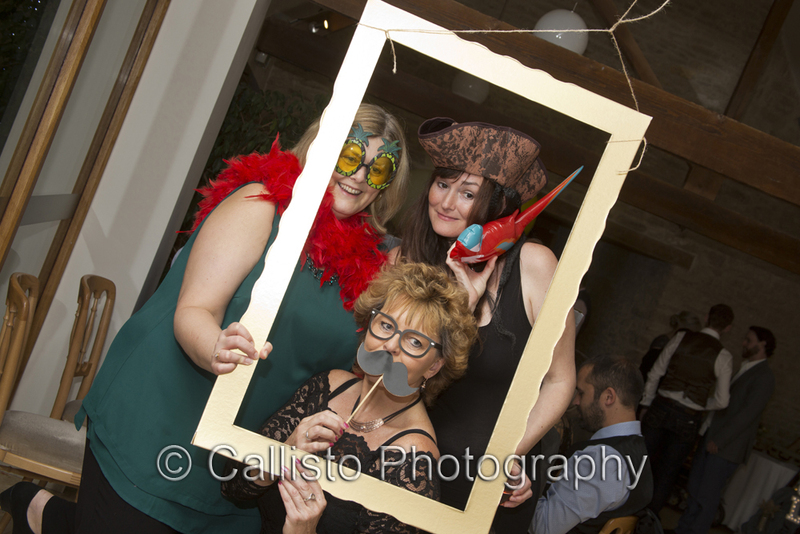 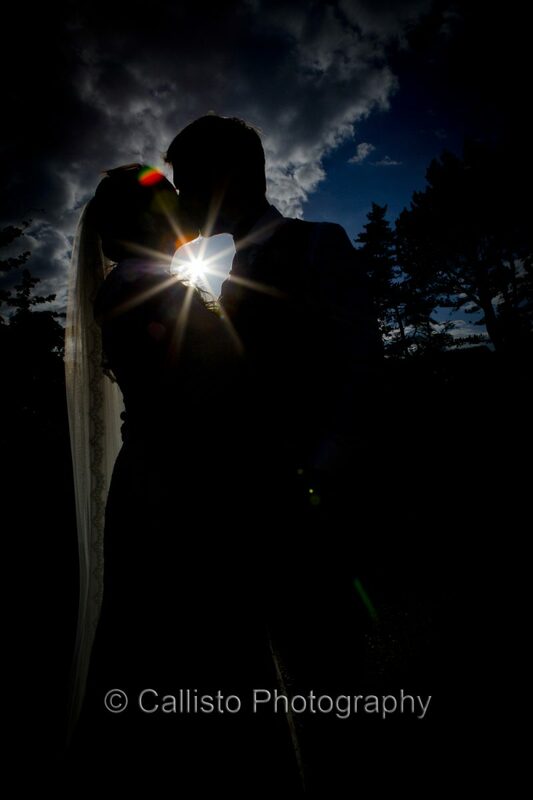 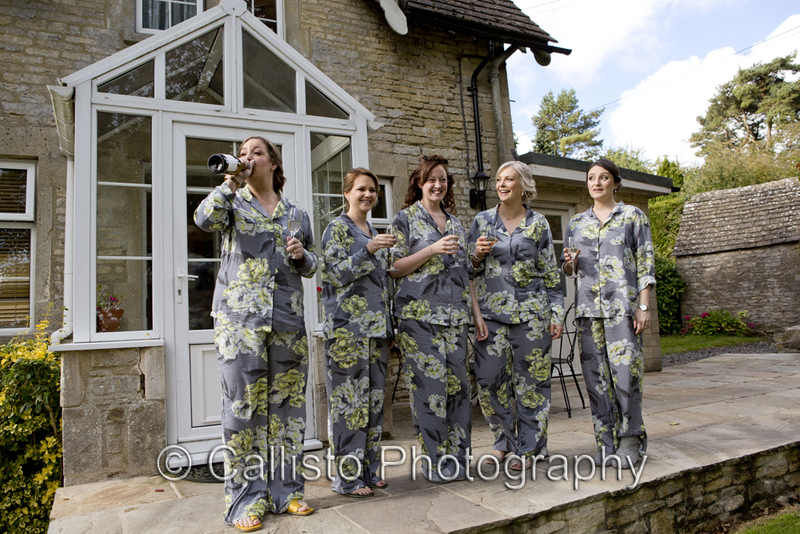 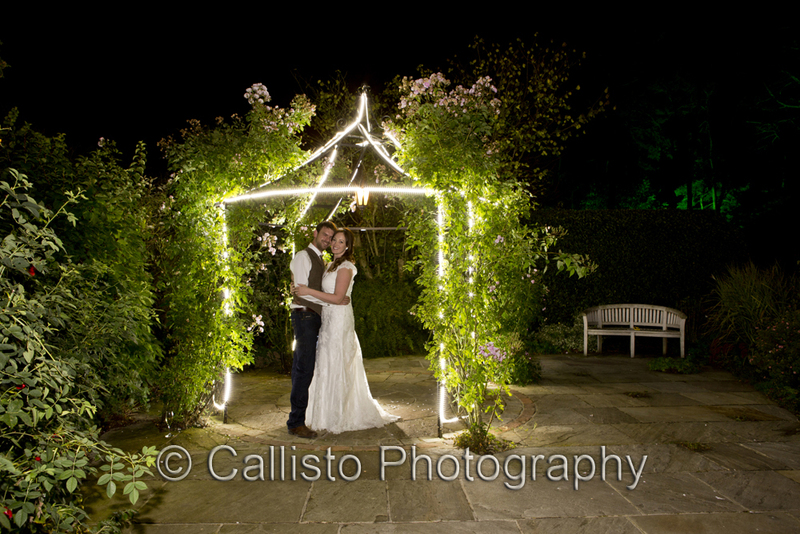 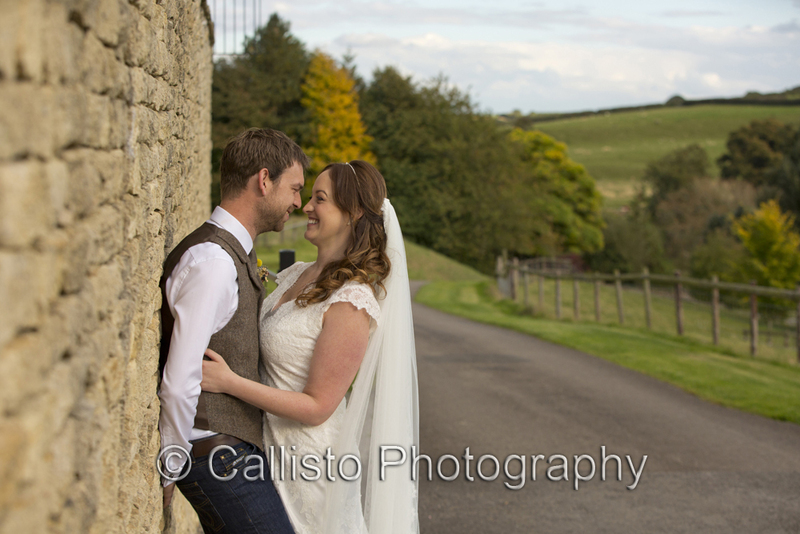 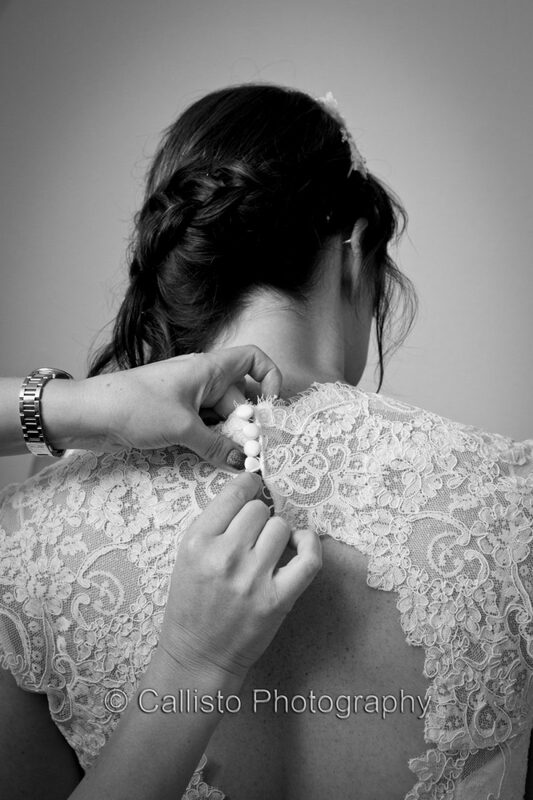 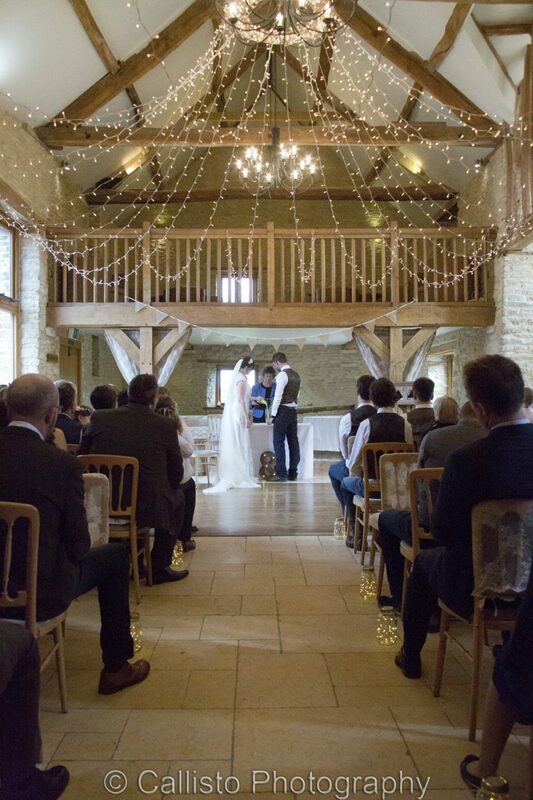 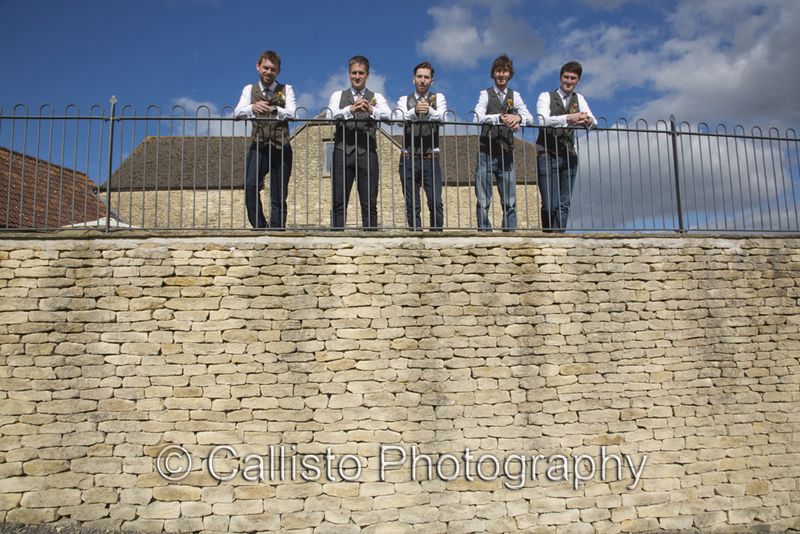 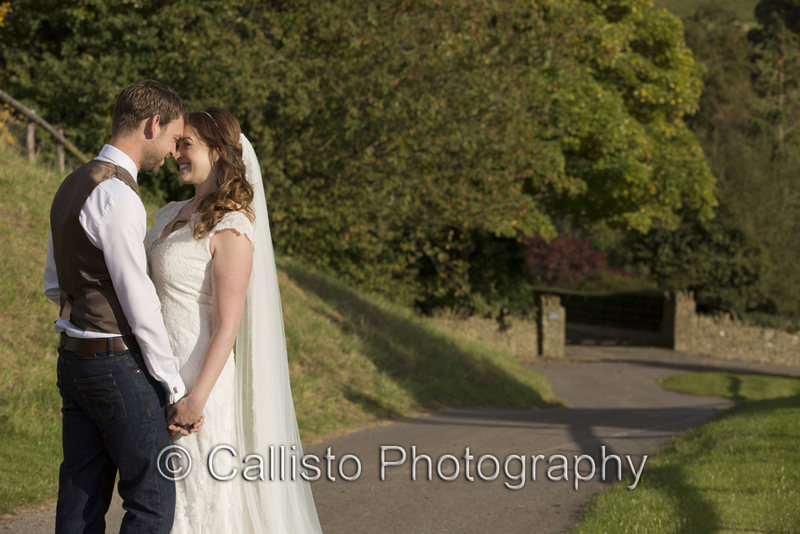 If you love our style of photography and wish to see more of our work at Kingscote Barn or a different venue, please check out our website. 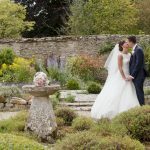 You might be asking the question “why should we invest in two photographers?” If you wish to see the benefits of commissioning Chris and me to photograph your wedding, even when shooting the same scene, please have a look at our ‘Kingscote Barn – Two Photographers’ post showing Lou & Matt’s wedding. 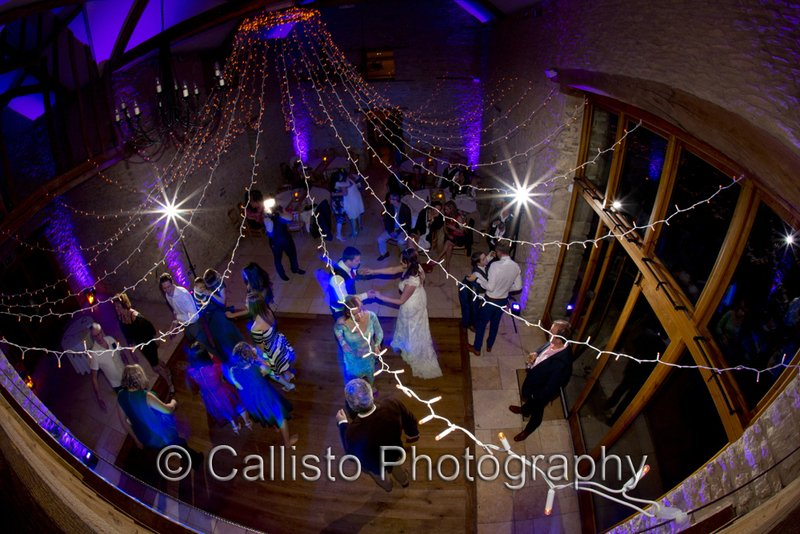 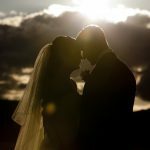 If you love our style of photography and wish to see more of our Kingscote Barn Weddings or a different venue, please check out our website.